It's possible most of you people in this meeting have never been in a meeting like his before. To begin, we workers in California have appreciated very much the help all of you elders have been to us. After Uncle Willie was taken from us, and we workers gathered together for a better understanding of the need of the Kingdom, and how we could work together in unity, we thought that it may be a good thing for us to have a meeting with you elders. The purpose of the meeting is to strengthen our fellowship and help us see our responsibilities. Everyone has responsibilities in God's family. Some of us who have a little more responsibility than others would like to have your help so we can work together with a "solid front." Thinking of this meeting, Philippians 1:1 came to me, "Paul and Timotheus, the servants of Jesus Christ, to all the saints in Christ Jesus which are at Philippi with the bishops and deacons." This is God's perfect plan, and this is why He gave us elders, or bishops, to help us in this work. 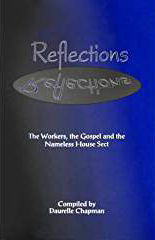 You will notice in this chapter that it speaks of Paul and Timothy as servants of Jesus Christ. Then it mentions the saints, bishops and deacons. This is what we have in the meeting here tonight. We have those who have gone forth to carry the gospel message, and I am glad to be numbered among them. Then there are elders, or bishops, who have been entrusted with the care of a meeting in their home. There are deacons, or those who are helping the elders or bishops. Then there are the saints. This is God's perfect plan, and as we work together, we have fellowship- one with another. The church is subject to the elder, and we would like you to remember that the elder is subject to the servants (the ministers) in our fellowship, and the ministers are subject to Christ, and Christ is subject to God. When we all fill our place, there is fellowship. This is the purpose of our meeting - to strengthen this fellowship we have in Christ. This meeting is for the elders mostly. But then there are those who assist the elder, and they must know their responsibilities. We are very happy to have you children here because you have responsibilities, as the meeting is in your hone. You children are and have a reverence for God, and as you keep true to God, then He can use you to help other people see that this fellowship is of God. We are a fellowship of brethren. You will notice that there was a church in Philemon's home. Philemon 1:1, "Paul, a prisoner of Jesus Christ, and Timothy our brother, unto Philemon our dearly beloved, and fellowlabourer." We like to think of him as an elder. There was a tribute paid to his wife, "Our beloved Apphia," who was working together with her husband. Archippus was a fellow-soldier of Paul and Timothy, so you can say he must have been in the work. What a nice influence prevailed in that home to have encouraged that boy to give his life in the harvest field. We like best of all to have the meeting in the home of the elder. However, some of you here tonight have a meeting in your home and the elder comes to your home. We have planned this because we feel it is about the best we can do under the circumstances, but when the tine comes when we can have the meeting in an elder's home, we would like to do that. I am so thankful that you all want to work together with us in this great work of God. The qualifications of an elder given in I Timothy 3:1-3 and Titus 1:5-9 give us a very high standard, and those of you who are elders, elders' wives and children will find it helpful to read these qualifications often. Paul left Timothy at Ephesus, I Timothy 1:3, to put certain things in order in the church. There were problems in the church and this quality of elders would be a great help to the people. Some were teaching another doctrine and they didn't know they were "off the track." They thought they knew, but had lost their sense of being childlike, and Paul sent Timothy to help them. There were a number of things out of order, I Timothy 2:1-3. Some of them weren't very respectful of the rulers, and he asked them to pray for those in authority. Sometimes it may not be so hard to pray for the rulers, and other times it would be very difficult, especially if your opinion differs from theirs. We might think we have some pretty bad politicians in our country but if we had lived in Paul's day, we would have been under a tyrant, Nero. Paul was asking them to pray for those in authority so the people of God could worship in spirit and truth. I think this would be a very good policy for all of God's people today, to pray for their rulers. I was asked one time if I voted. I was told that was the responsibility of every good citizen. I said I prayed for the rulers, and that was better than voting for them. Another man asked me whether I was Democrat or Republican. He said, "You ought not to be ashamed of your politics." I told him it took all my time to be a Christian, let alone a Republican or Democrat. I appreciate our country, but there is one country I put above every other country, and that is the Kingdom of God of which I am a citizen. I'll vote 100% for Christ and would encourage you to also. We can get taken up with this world, and the next thing, we are lost in it. We had an elder who had such a bad spirit toward President Roosevelt that he lost out for eleven years, because he hated him. You cannot hate anyone and worship God - it is impossible. Conditions may get worse - but whatever you do, pray for the rulers that we may lead a quiet and peaceable life in all Godliness and honesty. I Timothy 2:8-12, "I will therefore that men pray everywhere, lifting up holy hands, without wrath and doubting. In like manner also, that women adorn themselves in modest apparel, with shamefacedness and sobriety; not with broided hair, or gold, or pearls, or costly array; but (which be-cometh women professing godliness) with good works. Let the woman learn in silence with all subjection. But I suffer not a woman to teach, nor to usurp authority over the man, but to be in silence." Paul was trying to help the men so they would be able to pray effectively. Maybe it is a little more difficult for us menfolk to pray than for the ladies. You cannot pray when you are angry, or when you have a bad spirit toward anyone. "To lift up holy hands without wrath," in another translation it is put, "Lifting up holy hands which are unstained from wrath or strife." I like that for us menfolk. You elders, and we as God's servants, as men, should be an example to other men. Women have had a hard time ever since Bible days trying to be modest. With the trend going one way and then another, they have had a time staying modest in an immodest world. The elders' wives can be an example and thereby be a strength to the church. Sometimes they are not; however, we encourage them to be modest in an immodest world. Qualifications of an elder. The workers today have some problems, and you elders can be a real help to us. We as workers watch over the church because we love you, and what makes it easier is your love for us. We thank God for this. I Tim. 3:1-13. "A bishop then must be blameless," or, above reproach. If a person doesn't pay his debts, it is a reproach; and if a person doesn't live a clean life and use his neighbors or others kind and right, it is a reproach. The elders must be above reproach. "Faithful to his one wife," "vigilant," or wide awake. A watchman must be wide awake. What is he looking for? Anything that will endanger the church entrusted to him - marvelous! What can he do? Only sound the warning. If people are childlike and take that little warning, it will save them from defeat. When I was in Scotland, I marveled at the stone walls in the fields. I liked the workmanship. I liked to examine them and finally got a drawing of how they were constructed so strongly. They built them to separate fields and to keep the sheep from going over the precipices. If one sheep goes over the precipice, all the flock follows It would be nice if the elder is wide awake. When he sees a little danger, he could sound an alarm as a loving Father does to his children. "Sober." When we think about sobriety, we usually think about one who hasn't been drinking strong drink, his tongue isn't too thick, but I like this definition, "serious-minded, well balanced and not affected by passion, excitement, or prejudice." Unexcited when things don't go quite right, keeping calm, cool and collected. Prejudice - hearing a story and not being upset, but waiting long enough to hear the other side. We can be so prejudiced in ourselves that we couldn't see both sides of the problem. In our home we had two referees, Dad and Mom. I didn't think too much of it as a boy, but I marvel at it now. They had the ability to see two sides. If we can do that, it will help us very much. It's nice to keep sober. "Of good behaviour, given to hospitality, apt to teach." It's wonderful to be given to hospitality. That wouldn't mean just giving away everything you have, but to be careful; entertaining, but not going beyond your means. Just entertain with the means you have, and if they don't like that, it is the best you can do and don't be embarrassed by it. When the Lord sent us homeless, and we come to your home, it might not be what you would like it to be, but it's more than we have, and we can appreciate what you provide and all that makes your home a home to us. "One that ruleth well his own house, having his children in subjection with all gravity," or who wins obedience from his children. You know, children, that's what we like - when we have an elder, and his children respect their father and mother. The secret of children respecting their fat-her and mother is this - they respect their father, because the Father loves and respects his wife, and these two are always working together. I am so sorry in our fellowship there are some who are not practicing this. The mother and father can't see alike, and the children know it, and here they are, frustrated. It makes the poor children distressed. If you fathers and mothers have any complaints between you, try to get where the children can't hear and come to an understanding before you go out to speak with your children. Do you children know there are quite a number of people who come to conventions for the first time and are greatly impressed by the respect and conduct of you children, both in and out of the meetings? Many people observe the meeting home. When the children of the home are respectful in the neighborhood, the neighbors watch, and as you children keep true to the Lord, it's a wonderful sign that the preservation of the Holy Spirit is able to keep people in this world of sin from this immoral world in which we are living. Children, I hope you will help us. When we were children growing up and as yet hadn't made our choice, when we would go away from the home to visit, our father and mother would say, "Remember, the meeting is in our home." Sometimes when it wasn't in our home, they said, "Remember, you can help people if you will be true to God. If you are not, people won't believe in the truth." They tried their best to hold us back from the things that were so alluring in the world. We children could only be with children we could invite into our home. You children can be a wonderful help to God if you keep true when you have a meeting in your home. The qualifications of an elder are very high, I Timothy 3:1-13. We cannot always find elders like this. What can we do when we cannot find this quality of elders? Maybe I can tell you about one place where we had to choose an elder and neither of two families qualified. There was no place for the meeting except in one of these homes. Some said the one home would be better because the husband and wife were agreeable with one another; however, they only thought of themselves and their children, and some might not be welcome in their home as they were critical of most people. In the other home, the husband and wife had a hard time getting along with one another. I don't know how they ever got married, they were so opposite, but they were hospitable and kind. We went to them and told them we needed a home for the meeting, but we didn't feel right in choosing their home because they couldn't get along with one another, they quarreled so much. They agreed to try and overcome this problem, but we had to talk to them at times. Today they have a real love for each other, and the little church is still there. I thank God for His work accomplished in their lives. If you can't get along with one another and you aren't willing to humble and submit yourselves, your home isn't a good place for the meeting. The women at Ephesus were written to by Paul and told to be in subjection to their own husband. Oh, sure, they would listen to someone else, but not their own husband. Not all those people, are dead. That's why Paul wrote as he did to Timothy, I Timothy 2:12, "But I suffer not a woman to teach nor to usurp authority over the man, but to be in silence." She was not to usurp authority over her own husband. In some homes, the man wants to be the boss, and sometimes it's the woman who wants to be the boss, but God created the man to be the head of the home, to love his wife as Christ loved His church. He created woman to be a help meet for her husband. Brothers and sisters, when you get into fellowship with God, that will help you to submit, to fit into God's plan, and you cannot help but be happy in your home. This is God's order. When people don't come up to these qualifications but they want to be useful, then God comes in and works a miracle if they submit themselves to Him. There are miracles in our meeting tonight, and it is a miracle of God that I am here with you. The deacons are under the same qualifications as the elders; their work is similar. There are qualifications for the wives of elders and deacons. I Timothy 3:11, "Even so must their wives be grave, not slanderers, sober, faithful in all things." Not slanderers. 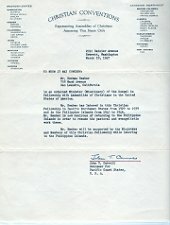 Slander is "a false report meant to do harm to the good name and reputation of another." Workers, and elders and their wives, must be tight-lipped, never betraying the confidential things others have entrusted us with, except they give us permission so another can help them who has more experience. Responsibilities of an elder. Acts 20:28-32, I Peter 5:2-4. Do you children have little responsibilities at home? Does your mother give you work to do and see you get it done? Or do you start it and leave it? I feel sorry for children who have a father and mother who don't pay much attention to the children, because it makes it very hard when they get married and have to take on responsibilities, and they can't take it then. I always thought my mother could find enough work for a regiment of soldiers. I had three sisters and sometimes I had to do dishes, which to me was girls' work. That's what I was told to do, and I had to do it and do it the way Mother wanted it done. I learned a little responsibility. We had chores to do on the farm, and it didn't matter if we had company. We had to do the chores. We children thought our parents were so cruel that we wished for other parents at times. It is a wonderful privilege you parents have to help your children so they can fit into life later. The fear of God, or a reverence for God, is one of the best things, as it is the beginning of wisdom. When you have it in you, you can't help but give it to your children. You might not think it will take. Moses' parents had him for a little while, them he was in Egypt forty years, but he had the fear of God put into him as a little boy, and it brought him back to the teaching his parents gave him. The responsibility of the elder is to feed God's lambs and sheep. Acts 20:28-32. "Take heed therefore unto yourselves, and to all the flock over the which the Holy Ghost hath made you overseers, to feed the church of God, which he hath purchased with his own blood. For I know this, that after my departing shall grievous wolves enter in among you, not sparing the flock. Also of your own selves shall men arise, speaking perverse things, to draw away disciples after then. Therefore watch, and remember, that by the space of three years I ceased not to warn every one night and day with tears. And now, brethren, I commend you to God, and to the word of his grace, which is able to build you up, and to give you an inheritance among all them which are sanctified.” Paul spoke to the elders at Ephesus about wolves. Oh, my brothers, can you get the picture? Maybe you don't know sheep and have never been around them, but Paul was going away, and those men were entrusted with that little flock and he said he knew that after he left, grievous wolves would enter in and devour the flock. I happened to be hone once visiting my parents on the farm. The neighbors called and said the dogs were in the sheep, so we rushed to the sheep. We saw some of my father's best sheep dead or bleeding to death. The dogs had attacked the sheep and torn huge chunks of flesh from their necks, hips and sides. They had to be killed. I never saw anything worse happen to sheep. I thought of some people in our fellowship, some who have even been in the ministry, and what gets into them, I don't know, but they have a hate for some of the very best in God's family, and they want to snap at them and dig at them and injure them all they can. When you read, "Beware of dogs," they aren't four-legged, but two-legged dogs, and they have hate in their heart and they snap out at people who have a lamb-like nature like Jesus The last night Jesus lived, He was like a lamb led out to the slaughter and as a sheep before her shearers is dumb, so He opened not His mouth. Those people hated Jesus so much that they spat on Him, smote Him, derided Him, gave Him a mock trial, nailed Him to the cross, hoisted the cross up and stuck it in a hole, and He said, "Father, forgive them, for they know not what they do." When I see that picture I am ashamed of myself. Sometimes when we get hurt and someone says unkind things to us or about us, we want to fight back. Let us struggle to be like Jesus, the Lamb of God. 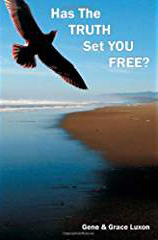 Paul said, "Take heed to yourselves, and to all the flock over the which the Holy Ghost bath made you overseers to feed the church of God, which he hath purchased with his own blood." We, as the servants of God, appoint the elders. That's what they did in the New Testament days, and that's what we do today, but it is the Holy Ghost that makes you an elder. Paul was a marvelous speaker, thinker and writer, but he said it was God that made him a minister of Christ. He worked him all over and worked in him the meekness and the gentleness of Christ. "Feed the flock of God which he hath purchased with his own blood." This would show us how precious the little group that meets in your home is to God. How much did Christ pay for you? Could He have paid more than His blood? He gave His life for you and for me. I am sorry to say that I haven't appreciated God's people like I should. It is easy to forget God paid the same price for them as He did for me. Maybe I should just illustrate my point. When I was a boy, one of our neighbors was the first to get thoroughbred Holstein cattle in our area, and he paid a thousand dollars apiece for the male and female. One thousand dollars in 1912 - you can imagine what they would cost today. He had children who could feed the other cattle, but not these two. He weighed their feed, fed them, took care of them, and they had the best place in his barn. That's how interested he was in taking care of them, because of the price he paid of them. One thousand dollars is nothing. Jesus gave His life for every one in your church. How much do you think of those people? There are enemies outside. What did he say to the elders? They felt helpless. We know how you feel. We feel that way too. We can hardly do anything. The 32nd verse can be a consolation to you. "And now, brethren, I commend you to God, and to the word of his grace, which is able to build you up, and to give you an inheritance among all them which are sanctified." Isn't that a comfort, to know that Paul was commending these people to God? If they would pray and worship God, they could be built up so they would glorify God, and they could help these lambs and sheep in the little church and protect them from the wolves, or the men who would come among them and try to lead them away. Feed the flock of God. If we don't have Christ in us, we think we are so important and think we can speak so much better than others - tragic! The devil can blind us to our own self. I Peter 5:2-4, "Feed the flock of God which is among you, taking the oversight thereof, not by constraint, but willingly; not for filthy lucre, but of a ready mind; Neither as being lords over God's heritage but being ensamples to the flock. And when the chief Shepherd shall appear, ye shall receive a crown of glory that fadeth not away." "Feed the flock of God.” What are you going to feed them with? This day and age, people are talking about vitamins and nutrition and what's real good for you, and some are getting more sick all the time. Maybe I should tell you about my dad's sheep. It will illustrate my point. Once when I was home visiting my parents, I asked my father why his sheep looked so scrawny. Dad loved sheep, and they usually looked nice. He told me that they had so much rain that year and the grass grew fast, but there wasn't much food value in the grass and hay and he didn't have any money to buy grain, so the sheep had to suffer. Do you get the point? When God tells you and us workers to feed the flock of God, there is no skimpiness on food. His storehouse is abundant, but sometimes I am not diligent about getting it. Jesus told His disciples the secret in Luke 11. They came and asked Him to teach them to pray. They were given the sample prayer. "And he said unto them, which of you shall have a friend, and shall go unto him at midnight, and say unto him, Friend, lend me three loaves; For a friend of mine in his journey is come to me, and I have nothing to set before him? And he from within shall answer and say, Trouble me not: the door is now shut, and my children are with me in bed; I cannot rise and give thee. I say unto you, Though he will not rise and give him, because he is his friend, yet because of his importunity he will rise and give him as many as he needeth. And I say unto you, Ask, and it shall be given you; seek, and ye shall find; knock, and it shall be opened unto you. For every one that asketh receiveth; and he that seeketh findeth; and to him that knocketh it shall be opened." Suppose some people come to your home hungry, and you don't have a thing to give them, so you go to one of your friends to beg bread at midnight, but he says he is in bed with his family and can't get up. Why did he get up? You wouldn't go away, you just kept crying out for bread for your friend. He couldn't sleep anyhow, so he had to get up to get rid of you. What do we do when we pray for bread? Are we just casual about it? If we remember the flock was purchased by the blood of Jesus, we will beg, beg and continue to beg for food to feed them. By feeding the flock of God, we don't mean speaking long in a meeting. We have enjoyed being in the Sunday Morning Meetings where the elder is very short in his testimony and very good. Most of those meetings where the elder was short in giving his testimony, the others were short also. Not all. Some people just want to be heard. Some people have to have a lot to say. When I was a boy, an Irish worker was in a meeting and said, "Some people come to the meeting with a great big sheaf of wheat on their shoulder, and here in the meeting they have to thresh it, grind it, bake it and serve it, and it takes twenty minutes or so." Why don't you have a nice little cake when you come, all ready to serve? If anyone comes regularly to your meeting and speaks over five minutes, he is out of his place. But maybe you will make exceptions for us when we come once a year. We visited a home the other day for a meeting, and I'm ashamed to say how long since I had been there for a meeting. And some I haven't been to yet, but we shall try to get to your meeting We appreciate you having that little meeting and for that fellowship which is so rich. I Peter 5:2, "taking the oversight thereof, not by constraint, but willingly," doing it because you want to, not because you have to. “Not being lords." I am not supposed to lord it over you. We are only servants, and we pray that God will give us grace to stay in that place so we can serve. We can advise you, but we are not to be lords over you. "Ensamples to the flock," the elders to the men in the church and the elders' wives to the women. The elder’s wife is not to lord it over people either. Sometimes it is pretty hard when you put a meeting in the home, and the woman kind of bosses the house and wants to say what everyone should do. A dear old soul, now dead and gone, had a meeting in her home because it was convenient and centrally located. But we had been there long enough to know what would happen. We told her that at 10:15 A.M. Sunday Morning that room no longer belonged to her. The elder was in charge. She agreed, but she couldn't help but tell people where to sit and anything else that had to be done. We had to go back and tell her this couldn't be. We went back and finally got it through to her that she could sit and those people could come in, sit down, and be given a hymnbook without her help. She was boss in her home, and it was pretty hard for her to submit to the elder. We are thankful God is able to change people, and we would like to pray for people more earnestly who have a struggle, like myself. If you are an example to the flock and feed the flock of God, when the Chief Shepherd shall appear, you will receive a crown of glory. My dear brothers and sisters here in this meeting, we hope that we can be awakened to our responsibilities. My companion during my fifth year in the work corrected me on more things that I was doing wrong than any of my companions. Some criticized me, but they didn't tell me how to do it better. He told me about my pouty disposition when things didn't go my way, and how I gave him the "quiet treatment," not speaking for a while. Terrible! Acting like a five-year-old. Sometimes in a home, one is miffed and won't speak. I feel sorry, because I have been over that road, and it is terrible when we do that. Now when we are awakened to these things, maybe it will help us to put it aside. The meeting place is one of the places where we can feed people. Sometimes we can help people by a visit. Since Uncle Willie passed away and more care has come my direction,- I don't have much time to visit the older people in the hospitals, to visit in the homes and have Bible studies, but you elders and your wives could take a little tine to help the flock of God. Now that's a sacrifice. To visit someone when they are weary and be a comfort to them will pay great dividends, because you are looking after God's people. When the Chief Shepherd appears, you will have a crown of glory that fadeth not away. Many times we are disappointed because some people are ungrateful for the help we endeavor to give, but if we can always remember, if we care for the flock, then when the Chief Shepherd appears, we shall receive more than what is due us. SINGING IN THE MEETING. Sing in the spirit and sing with the understanding. You folk may have a habit like I do, just singing along with others and not paying attention to the words we sing. It's wonderful to sing together in the meeting and to get the message in the hymn. PRAYING IN THE MEETING. We pray with the spirit, and we pray with understanding, not just saying a repetitious prayer. Having something special in mind is what is good. When Jesus prayed, He had something special in mind, especially in public. He didn't pray the same prayer all the time, nor did He pray long prayers in public; they are for the secret place. We need to pray loud enough in the meeting so all the people can hear and say "Amen." If we beg, or pray, God to help us so we can help others, it would be an unselfish prayer, like in our Hymn #205, "Lord, speak to me, that I may speak." SPEAKING IN THE MEETING. This is the same as feeding, having something helpful for ourselves and passing it on to others. You could read a chapter and speak on all the verses, and if it is not from God, it will not help others. We need to beg something from God that will help us to feed others. BREAKING OF BREAD. This is the perpetuation of the Old Testament passover feast. It is a beautiful picture when Jesus ate the last passover feast with His disciples that last night of His life. "With desire I have desired to eat this passover with you before I suffer." They ate the lamb, took bread, and when He had given thanks, He broke it, and said, "Take, eat: this is my body, which is broken for you: this do in remembrance of me. After the same manner also be took the cup, when he had supped, saying, This cup is the New Testament in my blood: this do ye, as oft as ye drink it, in remembrance of me." I Cor. 11:23-25. He was the Lamb. The old covenant was fulfilled when Jesus, the Lamb, died on the cross. We like the breaking of bread in a home that is clean and orderly, a prepared home for the breaking of bread. There was one home my companion and I were ashamed to go to for meeting. On the front porch was an old broken-down davenport, with the cushions torn open by the dog, weeds around the house partly hid old cans which were scattered around the front and bark yards. The inside of the home wasn’t much better. My companion and I helped to repair the porch, paint the house and clean both the front and back yards, hauled away all the old junk. We helped them clean up the inside of the house also. Some of their neighbors wished we would paint their houses also! After we had the place clean, we taught them a little about the order of the home for the breaking of bread, that it must be clean and orderly, even if it has a dirt floor. When the Children of Israel journeyed through the wilderness, their camp had to be clean. The priest must be clean to enter the sanctuary or they would die, no one unclean could go into the court of the tabernacle. It was difficult for these people to keep their home clean, so we moved the meeting and learned later the workers had never appointed that home for a meeting place. When preparing the emblems, have a nice-sized piece of bread, perhaps a slice with the edges removed on a plate or saucer and plenty of grape juice. We'd like the emblems to be placed in the center of the room if possible, but that is not always possible. We like to have them where they can be seen. One time we were in a home where there was little room, so they set the emblems back in another room. My suggestion was to take my chair out, and I would sit in the back room. The emblems are the most important thing in the little Sunday Morning Meeting, as the bread reminds us of the broken body of Jesus, the Word of God made flesh, "I am the Bread of Life." The wine reminds us of His blood which was given for our redemption. When we give thanks for the bread and for the fruit of the vine, we should be as specific as we are at the table when we give thanks for our food. When we break off a piece of bread (not just a crumb,) we are telling all in the meeting that we are willing for all the Word of God in our life. This reminds me of the perfect surrender Jesus made of His life to His Father's will. When we take the emblem of Jesus' shed blood, the fruit of the vine, we are telling all in the meeting we are purchased by the blood of Jesus and we are not our own, to do what we desire, but rather to do His will for us. Because we believe in Jesus and are willing to walk in the light, as He is in the light, and have fellowship (forgiveness) one with another, the blood of Jesus cleanses us from all sin. Sometimes we do not feel like breaking bread because of past defeats. God has made marvelous provision for us. In our meetings we sing, pray and speak. There is a message for us in every hymn in our book, as well as in the prayers and testimonies of others. The opportunity has come to examine ourselves, apply the Word of God to ourselves. Are we willing to put things right? If we acknowledge our wrong to God and repent (feel badly enough about it to forsake the wrong,) are willing to forgive others whether they apologize to us or not, the blood of Jesus cleanses us instantly. Then we have the privilege of breaking bread and it will be a blessing to us. It may be necessary after the meeting to go to others and make an apology. However, if we are not willing to put away wrong things, then the breaking of bread can be a damnation to us, which is worse than if we had never broken bread. The last night Jesus sat with His disciples, they were all purposed in heart to be true to Him except Judas, who had gone to the chief priests and bargained to betray Jesus. They all went out of the meeting and forsook Him; they did not realize how weak they were. Jesus had compassion on them because they didn't intend to do it. It was different with Judas. Before the meeting, he had made a bargain with the chief priests to betray Jesus for thirty pieces of silver. Judas broke bread with Jesus and His disciples, had a chance to repent, but he rose up and went out and it was night, night in two ways. The night was dark, but after he betrayed Jesus, he entered into the darkest experience of his life, and hanged himself. If we partake of these emblems and are not willing to put away the wrong and forgive in our hearts, it is eating and drinking damnation to ourselves, not discerning the Lord's body. It is good for us to have these truths impressed upon our minds and hearts Some in the church in Corinth were weak and sickly and some had died spiritually, because they did not break bread in the right way. We workers have appreciated the questions you had in your minds. We may not be able to answer them to your satisfaction, but it will give us an avenue of communication. When you have a question don't be afraid to come to us; we shall try to answer it or get an answer for you. WHAT IS THE PROPER COVERING FOR THE EMBLEMS, NAPKIN OR SARAN WRAP? We prefer a clean white napkin, because the napkin is used in the eastern states, Europe and other countries. We think it is best to be uniform. WHEN IS THE BEST TIME TO UNCOVER THE EMBLEMS? Someone suggested uncovering the emblems before we sing a hymn before taking the emblems. Sometimes we don't sing a hymn due to the time element. It would be respectful to turn back the napkin before giving thanks for the bread. However, this may not b~ possible because of no screens on the windows or doors to keep out the flies. WHAT IS THE FEELING ABOUT WOMEN GIVING THANKS FOR THE EMBLEMS? We like to see the men taking most of the responsibility for this. If there is hesitation and one of the ladies would like to give thanks for the emblems, that is good. WHAT IS THE PROPER DISPOSAL OF THE EMBLEMS? The meeting in the home perpetuates the passover feast mentioned in Exo. 12. Any part of the lamb which was left over was to be burned with fire. The bread represents the body of Jesus and we feel it should be burned. Exo. 12:10. The blood of the animals was to be poured out on the ground and covered with dust. Lev. 17:13, Dt. 12:16. We feel it would be best to pour the wine out on the ground. SHOULD THERE BE TWO CUPS AND TWO PIECES OF BREAD IN A LARGER MEETING? We prefer to use one cup because it signifies fellowship as we pass it from one to another. Some feel it takes too long to pass the bread snd the wine when there is only one cup, but this is the most consecrated part of the meeting and we don't object to waiting for all to drink of the one cup. SHOULD THE BREAD BE TAKEN OFF THE PLATE WHEN PASSED? In some places they do take the bread off the plate and pass it. The reason we pass the bread on a plate or saucer is because of the unsaved people in our meetings. When we pass it on a plate, they just take hold of the plate and pass it along to the person next to them. Sometimes strangers hesitate to touch the bread and I can understand and appreciate their feelings. SHOULD SOMEONE WHO NEVER TAKES PART IN THE MEETING TAKE THE EMBLEMS? We feel the breaking of bread is for those who participate in the meeting. Romans 10:9, "If thou shalt confess with thy mouth the Lord Jesus and shall believe in thine heart that God bath raised him from the dead, thou shalt be saved." According to this scripture, to have salvation, we must confess with our mouth the Lord Jesus, and the meeting is a good place to do so. If we are not grateful for what the Lord has done for us, it would be best to not partake of the emblems. WHERE SHOULD THE EMBLEMS BE PLACED IN THE ROOM? There is no better place for the emblems than in the center of the room. This is difficult due to the seating arrangement in some homes, but it should be in the room where the meeting is held. IS A CIRCULAR SEATING ARRANGEMENT BEST WHEN POSSIBLE? The circular seating is excellent, but it is seldom possible. SHOULD CHILDREN PASS THE EMBLEMS TO THE NEXT PERSON? This depends on the age of the children. If they are old enough and careful, it is nice for them to pass the emblems to the next person, but not when too . SHOULD THE ELDER PASS THE WINE INDIVIDUALLY? No. The bread and the wine should always be passed from one person to the other when possible, as this speaks of fellowship. Sometimes the elder must help pass it because of the seating arrangement as the one person cannot reach the person who is to receive it next. SHOULD THE ELDER DRINK ALL THE WINE THAT IS LEFT? "Drink ye all of it," Mt. 26:27. When Willie Phyn was here from New Zealand, I asked him about this scripture, as he worked in Greece. Willie said the Greek New Testament reads, "All of you drink it." Jesus desired all His disciples to drink of the cup. What is left over, pour it on the ground. SHOULD THE EMBLEMS BE PASSED TO ALL (EXCEPT SMALL CHILDREN) EVEN IF THEY DON'T PARTAKE? Yes. If strangers are in the meeting, you can explain before breaking bread what is taught in I Car. 11: 23-29.. This will help them to understand it is an individual choice and the responsibility is upon the person who partakes of the emblems of Jesus' broken body and shed blood. SHOULD THE EMBLEMS BE REMOVED IMMEDIATELY? Yes. We would like the elder to take the emblems out of the room when the meeting is over. WOULD IT BE ALL RIGHT TO ASK ALL TO REMAIN SEATED AFTER THE MEETING UNTIL THE EMBLEMS COULD BE REMOVED FROM THE CENTER OF THE ROOM TO AVOID THE POSSIBILITY OF THEM BEING TIPPED OVER AND IN THE SPIRIT OF REVERENCE FOR THEM? It would be a mark of reverence if we all sat while the elder removed the emblems from the room. WOULD IT BE BETTER TO HAVE NOTHING ON THE TABLE WITH THE EMBLEMS, SUCH AS FLOWERS? It is best to just have the emblems on the table, no flowers. Nothing is more beautiful than the emblems that remind us of the sacrifice of Jesus that was given for our redemption. WHEN PEOPLE IN THE HOME HAVE MADE THEIR CHOICE, IS IT ALL RIGHT THEN FOR THEM TO PREPARE THE EMBLEMS IF THEY WANT TO HAVE A PART IN THIS? Yes, as long as it is done under the supervision of the parents and done right, we have no objection. WHAT KIND OF A CONTAINER IS BEST FOR THE WINE FOR CONVENIENCE IN PASSING, SIZE, ETC.? SHOULD THE SAME CONTAINER ALWAYS BE USED? Before I visited the Orient, I felt the container should be a cup. In the Orient, the cup they use has no handle on it. It is similar to the glass we drink from. The cup. means a vessel we drink from, whether it be a cup or what we call a glass. It is not necessary to always use the same container; however, if you would like to do this, we have no objection. The vessel must be clean. WHAT SHOULD BE DONE ABOUT STRANGERS WHO ATTEND REGULARLY AND PARTAKE OF THE EMBLEMS? Someone who knows the party and is in the spirit should remind them what they are doing and explain to them what Jesus taught in I Car. 11:23-29.
WHO DECIDES WHO IS WORTHY TO PARTAKE OF THE EMBLEMS? Each person is to examine himself and decide whether he partakes of the emblems or not, I Cor. 11:28. IS IT SCRIPTURAL TO PARTAKE OF THE EMBLEMS IN A PLACE SUCH AS A MOUNTAIN CABIN WHEN A FEW GATHER THERE? The only place where the bread should be broken is in a home that is consecrated for the meeting. If you go to the mountains for recreation or a vacation. try to go to a home that has been chosen by the workers for the Sunday Morning Meeting and the breaking of bread. IS IT MORE BECOMING FOR THE ELDER TO TAKE AWAY THE EMBLEMS AT THE CLOSE OF THE MEETING THAN FOR HIS WIFE TO DO SO? Yes, it is the responsibility of the elder. If the elder comes to the meeting to lead the meeting, it is the elder's responsibility to take away the emblems at the close of the meeting. If someone else leads the meeting in the absence of the elder, arrange with him ahead of time to take care of the emblems. AFTER PROFESSING, BEFORE BAPTISM, SHOULD PEOPLE PARTAKE OF THE EMBLEMS? This question was answered for me at a Church of Christ meeting that I attended about 25 years ago. Two ladies who were coming to our meetings invited me to go with them to their service. The minister was speaking about Heb. 3. He used the scripture about God leading the Children of Israel out of Egypt and they were baptized in the cloud and in the sea, and he added, "This day was Israel saved," giving the impression that the Children of Israel were not saved until they were baptized. He challenged anyone in the meeting to prove a person could be saved before baptism. When he asked for questions, I said, "Do you people believe that the passover feast was a true type of Christ?" He said, "Yes, we do." Then I replied, "You people believe that the Children of Israel partook of Christ, the Passover Lamb, before they were saved. How could they partake of Christ before they were saved?" When a person surrenders to Christ and receives of His Holy Spirit and has came to the age of accountability and then they wish to break bread and are willing for all the will of God, no matter what it might mean or cost, they can break bread. Sometimes children who haven't come to the age of accountability do not fully understand the responsibility of being a Christian and it is best for them to wait until after they are baptized to break bread. Once we had two girls who wished to be baptized. I didn't think they were old enough to take that step and I inquired of Jack Carroll. He told me this,. "The father and mother should bear most of this responsibility, as they know if the children pray and are having fellowship with the Lord. Get the girls and their parents together and ask the parents if their children understand what it means to be baptized." The father said one of the girls was ready but the other one was not ready, as she didn't feel her need to pray and to be separated from the world. The older girl said, "I will wait for my sister." This is why we feel the children should wait until after they are baptized before breaking bread. We are not baptized to make us Christians, but because we are Christians. IS BAPTISM A NECESSARY PART OF SALVATION? Yes. Jesus said in Mark 16:16, "He that believeth and is baptized shall be saved." SHOULD THE ELDER STAND OR SIT WHEN HE TAKES THE EMBLEMS? Perhaps this is what is meant by this question - when the elder who is passing the bread and wine is quite a ways from his chair, should he go back to his chair and sit down for the partaking of the emblems, or should he take the emblems from where he is standing? Either would be all right with us. SHOULD A SONG BE SUNG JUST PRIOR TO PASSING THE EMBLEMS? An appropriate hymn or a verse of a hymn is nice before we break bread; however, if the meeting has been long, we can omit singing and break bread. An hour and a half is plenty long for a meeting. SHOULD SOMEONE BE POINTEDLY ASKED TO GIVE THANKS FOR THE EMBLEMS? It is in order to ask someone to give thanks for the bread or for the wine. Sometimes I pointedly give my companion a poke. SHOULD GRAPE JUICE OR WINE BE USED? We can use either. It must be the fruit of the vine. Grape juice is what we customarily use in California. We like it best because there may be someone in the meeting fighting the alcoholic habit which was acquired before professing, and it is very difficult to take wine without arousing the old appetite which craves for it. In some parts of the world, it is difficult to get grape juice, so they use fermented wine. IF THE PRESCRIBED JUICE IS NOT AVAILABLE (ONLY IN EMERGENCIES) WHAT COULD BE USED? Nothing. It must be the fruit of the vine. If grape juice or wine is not available, omit breaking of bread. WHY DON'T WE USE UNLEAVENED BREAD FOR THE EMBLEMS? Unleavened bread was used for the Passover because all leaven was put out of the house, Exo. 12:15. Jesus ate the last Passover with His disciples. In Lev. 23:15-17, which was on the first day of the week, the Feast of Pentecost, Acts 2, they were to have leaven in the loaves they baked. IS IT IMPORTANT FOR THE ELDER AND HIS WIFE TO NOT SHOW PARTIALITY WHEN VISITING THOSE WHO MEET IN THEIR HOME? It is never good to show partiality by the elder, his wife, or those in the work. "If we have respect to persons, we commit sin," James 2:9. ARE ELDERS TO CONSULT THE WORKERS BEFORE ASKING PEOPLE TO CONDUCT THE MEETING WHEN THEY ARE AWAY? Yes, always (except alternate elders.) Usually there is someone appointed by the workers to take the place of the elder when he is not present. The elder should let the person know ahead of time that he won't be present in the meeting. However, if the elder knows a faithful man who has been an elder and is qualified, it is all right for him to take the meeting. In California, we have so many coming and going from other states that it is best to be careful. If you are a man and an older elder comes to visit, it is all right to ask him to lead the meeting when he has been proven and has our recommendation. IS IT WISE FOR THE ELDER'S WIFE TO MAKE ARRANGEMENTS FOR MEETINGS, ETC.? If love is abundant in the meeting, it is all right. Let me tell you what has happened. I have asked the elder's wife to call people and tell them about a meeting we had planned to have on the spur of the moment. She called the different churches and told them about the meeting. Some of the people felt she had made the arrangement. Now I tell the elder's wife when she calls the different churches for me, to say, "Eldon wished me to call you and give you this message." If the elder hasn't time to call and asks his wife to do so, it is best if she would say, "John wanted me to call you and tell you about these arrangements." For the elder's wife just to go ahead and make arrangements without the consent of her husband or the workers would be out of place. SHOULD ELDERS KEEP THE CHURCH INFORMED ABOUT FUNERALS AND OTHER MATTERS? Yes, it is a good policy, as oftentimes some people do not hear. SHOULD ELDERS NOTIFY WORKERS IN THE AREA WHEN SOMEONE IN THEIR MEETING IS SICK, IN THE HOSPITAL OR NOT GETTING OUT TO MEETINGS, ETC.? Yes, they would if they are good under-shepherds. IS IT MORE BECOMING FOR THE ELDER TO MAKE THE ANNOUNCEMENTS AND PASS OUT THE LISTS, ETC., THAN FOR HIS WIFE TO DO SO? The wife would be out of place unless the elder asked the wife, or children, to pass out the lists The elder is the one to take the responsibility of making announcements. Sometimes the elders' wives are too bossy. One lady had the habit of telling people where to sit and what to do when they came to the meeting. We had to tell her that at 10:15 A.M. on Sunday, the room was no longer hers, if we were to have the meeting there. She was not to tell the people where to sit or what to do. The elder was in charge of the room until the meeting was over. IS IT WISE FOR ELDERS AND OTHERS TO MAKE ARRANGEMENTS FOR CONVERTS OR SHOULD THEY WORK TOGETHER WITH THE WORKERS? It is very important for you to work together with the workers. One nice couple came to our meetings and decided and some of the people who were half-hearted wanted to make arrangements for them and occupy their time. We had to go to the people and tell them we did not approve of some of the things they were doing, as that belonged to the world. However, if you have any suggestions that would help converts get to meetings, etc., it would be nice if you could mention it to the workers. HOW FAR SHOULD AN ELDER GO IN SETTLING PROBLEMS? WHERE DOES HIS AUTHORITY END AND THE WORKERS' RESPONSIBILITY BEGIN? The Holy Spirit will teach a person where his responsibility begins and ends. It is wonderful to have a peacemaker in the church to help solve problems. We are wise if we do like Gal. 6:1 instructs us, “If a man be overtaken in a fault, ye which are spiritual restore such a one in the spirit of meekness: considering thyself, lest thou also be tempted." When we go in the Spirit to settle a problem, we never make it worse. I have gone and failed to go in the spirit of meekness and the matter was made worse, and I had to go back and apologize for not having the right spirit. If you feel you cannot handle the problem, talk to somebody who knows the person well. If you need help, be sure to consult the workers. Where does the workers' responsibility start? If you cannot solve the problem, I suppose that is where the workers' responsibility starts. IF SOME HAVEN'T TAKEN PART IN A MEETING, SHOULD THE ELDER, IN A SPIRIT OF ENCOURAGEMENT, ASK IF SOMEONE ELSE WOULD LIKE A WORD BEFORE HE TAKES PART? IS THIS UNDUE PRESSURE? No, it is a kindly way to ask if others would like a word. When there is hesitation between speaking or praying in a meeting, we are wasting God's time. We should be ready to speak or pray in harmony with our brethren. If we have a message on our hearts, speak it without wasting time. The elder needn't always wait until the last. If you take a humble part yourself, it may encourage others to have a short word. HOW MUCH SHOULD THE WIFE AND CHILDREN OF THE ELDER PARTICIPATE IN HIS RESPONSIBILITIES, SUCH AS PREPARING THE ROOM, VISITING, ETC.? If the wife and children work together with the elder, everything will work out all right. The Holy Spirit will not only give us words to say when we are in a "tight spot," but will also give us discernment as to what we should do to work in harmony with others. IF SOMEONE IN THE MEETING HAS A PERSONALITY, OR EVEN A PHYSICAL OR MENTAL HANDICAP THAT IRRITATES OTHERS, WHAT RESPONSIBILITY DOES THE ELDER AND HIS WIFE HAVE TO WORK THIS OUT WITH ALL CONCERNED? We should be very kind toward the person who has a personality conflict He might not have had the same chance as we, and any kindness we will give them will enrich us. A mother we knew had two beautiful children. There was a neighbor girl who had a harelip who loved to play with her little daughters. This woman didn't like the little girl because of her harelip and wasn’t kind to her. The next child that this mother had was born with a harelip. We can encourage people to be compassionate toward those who have a personality or even a physical or mental handicap that irritates others, because we do not know what is in the future for us. WHEN SOME IN THE MEETING DON'T ATTEND REGULARLY, WHAT SHOULD BE DONE ABOUT GETTING IN TOUCH WITH THEM, EVEN WHEN THEY MISS ONE SUNDAY? Some of our people have been so concerned when anyone misses the meeting that they call them up to see if they are well. Once in a while the people who were absent are angry because they think the people are trying to interfere with their business. If they didn't call up, some would say they could be sick or die and nobody would care for them. There are two sides, and it is nice if we have the wisdom of God to help people. One couple had a grievance towards some in the little meeting at home; they stayed away from a meeting and said to themselves if anyone would come and ask them why they weren't in the meeting, they would tell them what was wrong in no uncertain terms. My father was the elder, but didn't know what their thoughts were. When Dad went to their home and shook hands, he said, "We missed you so much in the meeting this morning." They couldn't say anything - this disarmed them and they were ashamed for not being in the meeting. If we can call on people in the spirit of meekness and be kind, this will heal many wounds. When one sheep is missing, a good shepherd will always go to look for the sheep. "WHEN THE HOUR WAS COME, HE SAT DOWN AND THE TWELVE APOSTLES WITH HIM," WAS THIS IN THE EVENING? Yes, it was in the evening. The passover began at sunset on the evening of the fourteenth day of the first month, and on the evening of the fifteenth day of the feast of unleavened bread, Lev. 23:5-6. SHOULD THE ELDER GREET EACH PERSON AT THE DOOR AS THEY COME TO THE FELLOWSHIP MEETINGS? Greeting the people at the door by the elder is not necessary as they arrive; however, some elders like to do this, and we have no objection. WHAT IS THE ELDER'S RESPONSIBILITY TOWARD SOME WHO DON'T FEEL THE IMPORTANCE OF THE MID-WEEK MEETING? There isn't much the elder can do but encourage them to come to be a help to others in the church. SHOULD PROPER TUNE AND TIMING BE STRESSED IN OUR SINGING OF HYMNS? It is good to have the proper tune and timing, but this is very difficult to have in our meetings. Before we had music books, we learned the songs from those who sang solos at convention. A soloist has the liberty to emphasize words. We seldom have the timing correct and it is difficult to have this in our meetings. We like it when it is proper, but the most important thing is to sing in harmony, making melody in our hearts to the Lord. IF A BROTHER IS ABLE AND IN THE MEETING, IS IT MORE FITTING FOR HIM TO LEAD THE HYMNS THAN FOR A SISTER? It would be nice for him to lead the singing because we have heard some people say we are a group which has the ladies lead all the singing. IS IT APPROPRIATE FOR A DIVORCED AND REMARRIED PERSON WHO CAN TAKE NO PART IN MEETINGS TO CHOOSE A HYMN? We would rather they wouldn't choose a hymn in the meeting. SHOULD THE ELDER ALWAYS CHOOSE THE FIRST HYMN? 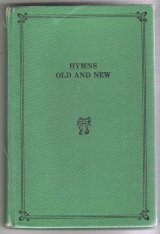 In our hymnbook we have gospel hymns, prayer hymns and hymns that strengthen our fellowship. Jack Carroll said he liked to see the elders choose the first hymn, so the meeting would be started with an appropriate hymn. When we have some in the meeting who would choose an appropriate hymn, that would be all right. IS IT ALL RIGHT FOR THE ELDER TO NOT GIVE OUT ANY HYMNS? It would be all right, if appropriate hymns are chosen. WHEN CERTAIN ONES ALWAYS GIVE OUT A HYMN, SHOULD SOMETHING BE SAID TO GIVE A CHANCE FOR ALL TO CHOOSE? Perhaps one could say, "There are some of you who haven't given out a hymn for a long time; would you have a choice of a hymn?" It would need to be said kindly. WHAT ABOUT NON-PROFESSING CHILDREN CHOOSING HYMNS IN MEETINGS (LITTLE ONES, SIX YEARS OLD OR SO?) We would rather they asked their parents and if it is an appropriate hymn, then their parents could ask for the hymn. IS IT PROPER WHEN SOMEONE CHOOSES A HYMN FOR THE PERSON WHO LEADS THE HYMN TO SAY WE WILL OMIT SINGING TWO VERSES, OR IS THIS THE ELDER'S PLACE? This is the elder's responsibility to suggest only two verses, or the whole hymn. SHOULD WE KNEEL DURING PRAYER? I always liked to kneel when we could in the meetings. Paul Boyd had a hearing problem, and when he and I were together he told me one day he hadn't heard any prayers in the meeting. When people knelt to pray and their faces were down in overstuffed chairs, or davenports, or even straight chairs, and they didn't pray loudly, Paul couldn't hear. We were doing what I wanted to do, and I was not considering others with a hearing problem, for which I was very sorry. Now in the meetings, I would like to consider the older ones who cannot hear so well. If we bow our heads, they can hear better. It is good to do what is best for the edifying of all in the meeting. In some parts of the world, they stand when they pray like we do when we give our testimonies. It isn't the position we are in that is important, but the motive of our hearts in pouring out thanks to our Heavenly Father. Let us pray loudly enough so all can hear and say "Amen." IF A MEETING IS LARGE AND TENDS TO BE TOO LONG, WOULD IT BE BETTER FOR AN ELDER TO SUGGEST BREVITY OR FOR HE AND HIS WIFE TO NOT TAKE PART? It is good for the elder to mention that it would be nice if the testimonies were brief. Then if they don't take the hint, do like Jack Jackson - he went to a place that hadn't had workers for six or seven months. There were only four people in the meeting and they took all the time. He said the next time he was in the meeting he would speak, as it was time for the meeting to be over. If you run into difficulties, tell us and maybe we can help you. Some people have told me they just cannot condense their thoughts. Tom Webb, one of our Irish workers, told this in a meeting in Detroit one time, "Come to the meeting with bread. Some people come in with a great big sheaf of wheat, then they have to thresh it and grind it and mix it and bake it and serve it, which. takes so long. If we come with bread, it's condensed and tasty." SHOULD HABITUALLY LONG SPEAKERS BE ENCOURAGED NOT TO DO SO, AND HOW? I wish I knew how to help them Perhaps it would be best for some of us workers to speak to them about speaking too long. HOW PROMPTLY SHOULD WE EXPECT PEOPLE TO LEAVE AFTER THE MEETING IS OVER? It is nice to greet one another after the meeting is over and then leave. It isn't best to have prolonged visiting or for children to play in the house or on the street right after the meeting is over. ON UNION SUNDAYS, WHEN THERE ARE TWO CHURCHES MET TOGETHER, SHOULD THE ELDERS TAKE TURNS LEADING THE MEETING, OR SHOULD THE ELDER IN WHOSE HOME THE MEETING IS LEAD ALL THE MEETINGS? We do not like for elders to take turns leading the meetings. One person must be responsible. The elder in whose home the meeting is held is responsible. If he wishes to have the other elder lead some of the meetings, he can ask him to do so. This saves any confusion about who leads the meeting. IS IT GOOD TO TAKE TURNS LEADING THE WEDNESDAY EVENING BIBLE STUDIES? We prefer one person to be responsible to lead the Bible study. SOME FEEL A FELLOWSHIP MEETING SHOULD BE OVER WITHIN AN HOUR. WHAT IS BEST? We do not like meetings to exceed an hour and a half. DO THE ELDERS HAVE THE RESPONSIBILITY OF CANCELING THE SUNDAY NIGHT BIBLE STUDIES IF MOST IN THE MEETING GO ELSEWHERE, LIKE TO THE GOSPEL MEETING IN ANOTHER FIELD? It is best for the elders to consult the workers before any meetings are canceled. WHAT IF SOME FEEL TWO MEETINGS ON SUNDAY ARE TOO MUCH AND OTHERS ENJOY THEM? IT OFTEN SPLITS A CHURCH. There are some people who like the Sunday Night Meeting and are interested in studying the Bible. All of God's people should be anxious to help them and to have the meeting. Some people would rather have a social gathering. If we choose social friendship, we are building with wood, hay and stubble. If we are having fellowship with the Lord and His people, we are building gold, silver and precious stones. It is the elder's responsibility to feed the flock. Every one of them should desire to pour out their life to help people, the same as we. Most of us workers have two meetings on Sunday because we are anxious to help people and those who have never responded to the gospel. If our people do not care to gather with their church, their love for the Lord must be growing cold. SHOULD MEETING HOMES HAVE RADIOS AND HI-FI’S? There has always been the tendency of God's people drifting toward the world as mentioned in Ps. 106:13-15, "They soon forget his works; they waited not for his counsel: But lusted exceedingly in the wilderness, and tempted God in the desert. And he gave them their request; but sent leanness into their soul." About all the hi-fi music you can get is from the world. We have stayed in unsaved homes where we have music from morning to night, and it is very difficult for us to get that music out of our minds when we go to pray. Remember Jesus said, "If any man come after me, let him deny himself, and take up his cross and follow me." If we deny ourselves worldly music, we will benefit spiritually from our Heavenly Father. If people want worldly music and start feeding on it, they will become like the world. Remember, Lot pitched his tent toward Sodom and the next thing, he was there. Some people want the radio for the weather reports. If a person is going to feed on what comes over the radio, they are going to be like what they feed on. If we feed on Jesus, then we will become like Him. We like to see the meeting home consecrated to the Lord, where His people can come and be encouraged to lay down their lives for Christ. WHAT RESPONSIBILITY DOES A MEETING HOME HAVE TOWARD NEIGHBORS IN MATTERS OF NEATNESS, CLEANLINESS, QUIETNESS, ETC.? The meeting home should be an example of neatness, cleanliness and quietness in the neighborhood, as it represents the place where God meets with His people on the first day of the week. WHEN A MEETING HOME HAS OLDER CHILDREN LIVING AT HOME WHO DON’T PROFESS, BUT ARE SELF-SUPPORTING, WHAT CAN BE EXPECTED OF THEM? We can expect them to be courteous and to respect the meeting. One cannot make them do it. One of our elders had ten children. The two oldest boys were self-supporting and at home. They didn't wish to sit in the meeting anymore. The mother had a talk with them and asked then, "Do you like the home clean? Do you like the way we cook the meals, and having them on tine? Do you like a clean bed to sleep in and clean clothes to wear? These are some of the things I am doing for you and the one thing I ask you boys to do is to come in and sit in the Sunday Morning Meeting and respect the Lord, God's people and us." As long as those boys were at home, they were always in the Sunday Morning Meeting because of the loving, kind way the mother spoke to then. This is a problem in some homes, and I feel very sorry for people after having raised their children, they disrespect the little meeting. One day we are all going to stand before God. My heart goes out to you people who have children who disrespect the Lord, you and your home. We know it is not your purpose to have it this way. IS THERE EVER AN APPROPRIATE TIME FOR WOMEN TO WEAR MEN'S CLOTHING? Two years ago a lady said to me, "What do you think of Dt. 22:5?" I said, “What is that scripture?" This lady handed me her Bible and I read, "The woman shall not wear that which pertaineth unto a man, neither shall a man put on a woman's garment: for all that do so are abomination unto the Lord thy God." She replied, "What are the exceptions?" "Let's read it again." I didn't notice any exceptions. Do you? Most of the women of the world wish to wear that which pertains unto a man and for this reason, our women folk are tempted to do the same. Some have mentioned, "What you read is from the Old Testament and has been fulfilled." What was an abomination to God in the Old Testament is an abomination today. What God hated then is what He hates now. Jesus is the same yesterday, today and forever, and so is God. Could you think of people who say they love the Lord doing things that are an abomination to Him? Jesus said in John 8:29, "He that sent me is with me: the Father hath not left me alone; for I do always those things that please him." We can speak in meeting, pray and break bread, but if we are not doing the things which please God, love is lacking. John 14:21, 23. Some of our people say that women’s wear is women's apparel, not men’s. We notice they didn't wear it a few years ago. It is nice to see a lady in the world dressed like a lady, and not like a man. If it is admirable to see women in the world dressed like ladies, isn't it much more so for our women professing godliness to be dressed like ladies? IS IT BECOMING FOR A WOMAN PROFESSING GODLINESS TO WEAR A DIAMOND RING? We read something about that in I Peter 3:3, "Whose adorning let it not be that outward adorning of plaiting the hair and of wearing of gold or putting on of apparel," and in I Timothy 2:9-10, "Not with broided hair, (elaborate hairdos) or gold, or pearls, or costly array." At the wedding of an unsaved couple, I noticed the judge asked the girl to take off her diamond ring and then during the marriage ceremony, he put the wedding band on her finger, but the judge didn't put the diamond ring back on her hand. The diamond ring had served its purpose by showing the woman was engaged. When the lady put the diamond ring back on, it's for adornment and the Scripture would teach against this custom. IS THERE SOMETHING THAT CAN BE DONE ABOUT THE SHORT DRESSES AMONG US? People who don't wish to comply with the scripture are difficult to help, but we can remind them what is taught in Col. 3:25, "But he that doeth wrong shall receive for the wrong which he hath done, and there is no respect of persons." WHAT WOULD BE AN ELDER'S RESPONSIBILITY IF THE FREEDOM FOR WORKERS TO GO FORTH AS THEY DO NOW WERE TAKEN AWAY FROM US, AS IN CUBA AND OTHER PLACES? The Holy Spirit would teach elders what to do, and how to help God's precious flock. WOULD IT BE WISE TO CHECK WITH THE WORKERS BEFORE PASSING AROUND NOTES AND OTHER PRINTED MATTER WITHIN A CHURCH? Yes, it would be wise. Jack Jackson told us there were some notes being passed around on the second coning of Christ with his name on them and he did not write them. He wished for anyone who saw them to burn them. Someone had put his name on the paper. Recently some notes were given to me which were supposed to be Jack Carroll's handwritten notes. They were not, because I know his handwriting, and the presentation of the scripture was not his style. Let us advise all people to be very careful with the notes we give others to read. WHAT SHOULD THE SISTER WORKERS' DUTIES BE IN MATTERS OF TROUBLE IN THE CHURCH? The sister workers work in harmony with us in matters they cannot handle, and we appreciate their help. ARE DIVORCED AND REMARRIED PEOPLE WHO KNEW NOTHING OF THE TRUTH BEFORE REMARRYING STILL LIVING IN ADULTERY? This is a question I cannot answer. When I went into the work in 1927, those who had never heard the truth before they were divorced and remarried were received into fellowship and baptized. The older workers felt that they didn't know anything about the truth when they divorced and remarried and they did it in ignorance. We workers leave that in God's hands and we know that He will take care of it in His time and way. We workers do take a definite stand when people who decided to serve the Lord are divorced and remarried. We have an outline on this and if anyone wishes one, we can give it to you to study. WHAT ABOUT ACCEPTING INVITATIONS TO A NEIGHBOR'S OR RELATIVE'S HOME TO WATCH CERTAIN PROGRAMS ON TV? We feel very sorry for any person who likes to do this, as the scripture teaches us in I John 2:15, "Love not the world, neither the things that are in the world. If any man love the world, the love of the Father is not in him." COULD PREACHING AGAINST DRESS, HAIR AND STEREOS AT CONVENTION AND SPECIAL MEETINGS BE CHANGED TO SPEAKING INDIVIDUALLY TO ANY WHO ARE DOING WRONG? WE HAVE WONDERED AT THE HELPFULNESS OF SPEAKING ABOUT THESE THINGS TO STRANGERS LISTENING IN, AND IF IT HAS PROVEN A GOOD THING TO DO? Our conventions and special meetings are for our people and if you bring strangers, they are welcome. If what is spoken about dress, hair and stereos is spoken in the Spirit, it is always helpful to our people and is helpful to strangers. In our gospel meetings when we speak the truth of the gospel, many strangers are offended, as they were in Jesus' day. ARE WE AS ELDERS SUPPOSED TO ADVISE OUR CHURCH ABOUT THE CONCLUSION COME TO AND THE RESULTS OF THIS MEETING? Yes, you can feel free to speak to all what has been discussed here. HOW IMPORTANT IS IT THAT MEN WEAR TIES TO THE SUNDAY MORNING MEETING? It is very becoming in our country to wear a tie to special gatherings and we feel it is becoming for us to wear a tie when we gather before the Lord, the King of Kings, and Lord of Lords. SHOULD FLOWERS (OR A GIFT) BE SENT TO A FUNERAL FROM A CHURCH (OR INDIVIDUAL) WHEN WE KNOW THERE WILL BE AN EXCESS OF FLOWERS AT THE FUNERAL? We don't mind a few flowers at a funeral, but it doesn't become our fellowship to overdo in buying flowers. We don't like to see the church take up collections for them. We don't like to see a collection taken up for anything. In the Bible days, I Cor. 16, it wasn't convenient to send help to those poor saints at Jerusalem, as it would be today. The only way to send it was to choose certain men to take it, as it wasn't safe for one or two persons to go by themselves. They chose certain people to take it to Jerusalem and give it to the saints. When a collection is taken up, oftentimes people who can't afford to give feel obligated to give anyway. Instead of buying flowers, it would be good to give the people five or ten dollars to help pay the expenses of the funeral. SHOULD SAINTS NOTIFY THE PEOPLE IN WHOSE HOME THE MEETING IS HELD IF THEY ARE GOING TO BE ABSENT? It would be very thoughtful of the saints to notify those in the meeting home if they are going to be absent. SHOULD GOD'S PEOPLE GO TO PLACES OF ENTERTAINMENT SUCH AS DISNEYLAND, KNOTT'S BERRY FARM, CIRCUSES, ICE FOLLIES, ROSE BOWL PARADE, SPORTS EVENTS, ETC.? If we are walking in the Spirit or being guided by the Holy Spirit, we will feel very uncomfortable in a place of worldly entertainment, and it would be best to heed the warning of the Spirit. When I was , I loved sports, and after I decided, the Holy Spirit moved me to give them up completely. Any money I had spent going to the games, I wanted to use for the extension of God's Kingdom. The Holy Spirit taught me this, as it would have been selfish for me to spend money for my own entertainment when I could help in the work of the Lord. When you introduce children into sports, it is just an avenue that starts them out into the world. The sport world, the pleasure world, the music world, the political world, the financial world will never encourage people to serve the Lord. God would like to choose out of the world a people for His Name. Gal. 1:4, "Who gave himself for our sins, that he might deliver us from this present evil world, according to the will of God and our Father." Sometimes we don't think the world is so evil until we are ensnared. There have been a few places I have gone and something inside my heart told me I shouldn't be there and I never went back. We have a wonderful hymn in our hymnbook, #43, "Take the world, but give me Jesus, all it's joys are but a name; but His love abideth ever, through eternal years the same." We pray that the meeting we have had here will unite our hearts in a bond of fellowship that will enable us to work together in harmony for the extending of God's great Kingdom. Let us try to feed and protect the precious flock of God so that they can have a better inheritance in Christ. It is an eternal inheritance and when life is over, we will enjoy the inheritance in a fuller measure. We are very glad to know there are so many of you interested in the truth, because you are the hope of the kingdom. Some of us don't have many years left, if any. Many of us are living on borrowed time. You people can be very useful working together, as you consecrate your lives to the Lord and let Him work in and through you, making you a light in this dark world and a witness for Jesus. That word "witness" comes from the Greek word "martyr," and a person who was a witness was willing to lay down his life to tell the truth -- you people here tonight have an opportunity of witnessing for the Lord Jesus. If you do you are going to have a wonderful future and you will come to know the peace and rest of God that you could never know any other way but by being true in whatever place that you are going to serve the Lord. I am reminded of quite a few people in the Bible who were very useful in their day, and today they have left us a wonderful example of being obedient to their parents, and the parents having that wisdom from above to guide those people right. Let us consider Isaac, Gen. 22. We do not know how old Isaac was when God asked Abraham to offer his son; some think he was just a little boy, but I rather believe he was a man because when his father laid the wood on him to carry up the mountain for that sacrifice, it would have been a little more than an ordinary person could carry. He must have been really strong, but when they reached the place of sacrifice, Isaac willingly submitted to his father -- such faith, such confidence he had in his father and the Lord. God had asked Abraham to offer his son and Isaac was willing to give his life. I don't suppose anyone would know what it meant for that man Abraham and his wife Sarah to offer that sacrifice. You people here who are fathers and mothers might know a little better than I what that would have cost. I feel today that you fathers and mothers and you people have a similar battle. For a father and mother to consecrate their lives to God, and to have their little children different than other people's children in the neighborhood and at school, and see them face that reproach and scorn of the world, takes courage. It is difficult for the little ones too, but because they love the Lord and have a reverence for Him, they are willing to do it for Jesus' sake if the parents encourage them in that direction. There was a mother in Ohio who was quite angry when I went there for a visit. She said to me "When my little girl ( five years old) goes to school, she is going to be like other little girls." She told me about her parents, how hard they had made it for her. Twelve years later it was my privilege to visit the same mother who sat in the same rocking chair. Tears were streaming down her face when telling me about her 17-year-old girl. She was just like other very rebellious girls and now the mother wanted her to be different. Can I impress upon you tonight that the time to start giving those little children a reverence for God is when you hold them in your arms! You who have those little ones in our trust, I hope you can give to them the same thing that Abraham gave to his boy. Then we get the picture of when he was ready to go through with what God asked him to do. The angel of the Lord said " Abraham, lay not thy hand upon the lad...for now I know that thou fearest God, seeing thou hast not withheld thy son, thine only son from me." There was a ram caught in the thicket and they offered it there together. When I think of those people in the Bible, there is a similarity today, because this world is very wicked. It is only Christ in you that is going to help you that have the courage and love in your heart toward your children and others, also a forgiveness in your heart toward everyone, no matter what they do to you. Then you will have the presence of God with you and you will know the joy of His salvation and have the power that will enable you to do what you can't do in any other way. Then we think of Joseph at 17 years of age. There are quite a few here at that age. It wasn't very pleasant in the home when his brothers hated him. His father had known what it was to wrestle with God and to submit to God in a way that left a mark on him. Jacob was able to put into Joseph a love for God and a reverence for His Kingdom. Because his brothers hated Joseph, they sold him as a slave. I don't know if you can get a picture of gentle Joseph when they pulled him up out of that pit. I hope you will read the story in Gen. 37. This boy was sold as a slave; his master saw that God was with him. It wasn't so much what he said. His master saw God was with him. Can other people see that God is with you? That is the main thing, children. (Pardon me if any of you don't like that word. But it is used in the Bible. You seem like children to me. It just seems yesterday when we were holding some of you as little ones.) Why was God with Joseph? Because he had no hard feelings toward his brethren. They didn't do him right. The next thing he was in prison because of Potipher's wife. She wanted him to commit adultery, but he didn't yield to temptation. The prison keeper saw God was with Joseph, and when he was brought before Pharaoh, the ruler of the land noticed immediately he had the spirit of the living God. That is what they saw, and I can't emphasize enough how important it is for you and me to live so closely to God that his very virtues are seen in us and people will associate us with Him. When Joseph saw his brethren there was only one thing in his heart, and that was to help them. You people will have a very hard battle because wherever you are -- school or work -- people will want you to be like those in the world and you must make a decision. No one else can make it for you. If you consecrate your life to God and serve Him, he will give you the needed help to keep true and glorify His name. I am only going to mention a few, but I feel personally if you look up about the people in the Bible and read of their trueness to God, it will inspire you to give your best. Samuel was a faithful man, 1 Sam. 1:24. It was a time that was very, very dark spiritually when Samuel was born. The people were so distressed when they went up to offer a sacrifice to God because of Eli's wicked sons. They didn't do what God asked them to do and here they were the leaders. When Samuel's mother went up to Shiloh, she made a vow from the depths of her heart that if the Lord would give her a man child, then she would give him unto the Lord all the days of ??his/her?? life. Samuel was born and after he was weaned (wean means to detach or alienate the affection [text obscured] when he learned obedience and was over being pouty, etc., Hannah took Samuel to Eli's house. Then Samuel ministered before the Lord, grew on and was in favor with the Lord and with man. We read "And ere the lamp of God went out in the temple of the Lord, where the ark of God was [text obscured]". God spoke to Samuel who became a true messenger and priest. Everyone knew Samuel was established to be a prophet of the Lord. Could you think about what that father and mother put into that boy before he went to the house of Eli that kept that lad separated from the defilement that was in that home. I hope you can understand that this is the power of God and that power can be in you and me to keep us consecrated to do His will. David was another one I thought about. We notice he was prepared, herding sheep and being true to God and having an explicit confidence and faith in God. When he went to visit his brethren and saw that great giant who defied Israel, he remembered when God had delivered him from the lion and bear, and he said, "I will go." What made him feel so badly was that this man defied the name of God and he was willing to go so that "all the earth may know that there is a God in Israel." It wasn't for any fame of his own, but to prove to others that there is a living God. Every one of us here tonight have that same privilege of consecrating our lives so that God can work in and through us and other people can see by our consecrated lives that there is a power that they don't know anything about. A few people interested in their soul's salvation may ask you about your faith and you can point them to the way that leads to life. Daniel and his companions were of the King of Judah's seed, intelligent men with the ability to learn the Chaldean language, and the Babylonian king took them to minister to him in the palace. It says of Daniel that he "purposed in his heart that he would not defile himself with the portion of the king's meat." Dan. 1:8. I don't know what that meat consisted of -- perhaps all the entertainment that went on in the palace, as well as what he was to eat and drink. Daniel asked if they could be put on trial, with only pulse to eat and water to drink. This they did, and at the end of ten days their countenances appeared fairer than all the children which did eat the portion of the king's meat, and it wasn't too long until the king knew they were serving the living and true God. Do you feel this way when you go to school, that you are not going to be defiled with the things of the world? It is very hard also when you go to work. I remember when I started to work with rough men who made fun of me. One of my friends worked in that same factory; he went to meetings, but he couldn't take the reproach and wanted to be one with the men and listen to their dirty stories and enjoy them. I couldn't understand. On my lunch hour, I would eat by myself. It is not hard to see why that man didn't continue long in the truth. We can't serve God unless we have a power in our lives to be separate from the world and consecrate ourselves to worship Him and Him alone. I would like to mention the parents of Jesus and John the Baptist. Jesus was brought up in a place with no reputation; one man said, when he heard that Jesus came from Nazareth, "Can any good thing come out of Nazareth?" Here God entrusted His son with a woman who found favor with God and a man who was just and upright -- ones who would shelter and guide that life. When Jesus was twelve years of age, He uttered those words, "... wist ye not that I must be about my Father's business?" Start with the children when they are tiny and you can put into those little children a reverence for the one you serve; you cannot do that unless you serve Him in spirit and in truth yourself. Of John's parents we read, "And they were both righteous before God, walking in all the commandments and ordinances of the Lord blameless." The other priests weren't that way, but Zacharias and Elisabeth were -- consecrated to God. As men Jesus and John kept consecrated, and then when the time came they were shown to Israel, about thirty years of age. John was able to prepare the way for Jesus and the Jesus came on the scene. It is wonderful what we read, "The people sat in darkness saw a great light; and to them which sat in the region and shadow of death light is sprung up . " Do you know what it is to sit in darkness? But, "They which sat in darkness saw a great light." Why? Because He was radiating His Father in heaven. Everyone could see that John the Baptist was a prophet sent from God. These are just some. There are others I would like to mention, but I must go on if I'm going to answer these questions. WHAT IS THE DIFFERENCE BETWEEN BEING BORN AGAIN AND PROFESSING? There is a lot of difference. When people are born in the world they get a nature and act like human beings because they have been born into a human family. When people are born again into God's family, they receive a new nature. How does that come? A person hears the Word. He is convicted in his heart that he is wrong, acknowledges it to God and purposes he is going to forsake all wrong and begin to walk in the light. Then God in heaven gives that person a new life, and life has power. Even with the tiniest blade of grass, the seed is planted in the ground and germinates and the plant pushes out of the ground in spite of gravity. If one is born again, it is similar. God gives him life, and he is able to say, "No, no, no, I don't want the old life." But how long will a baby live if you don't feed him? Not too long. How long will you live when born again if you don't start to feed? When you pray and worship God in the secret place, you have a relationship with God, you get a power -- life and strength. It will enable you not to be moved by the things around you. So many people who have made their choice, when it came time to start to worship God, they knew they should pray, but they couldn't humble themselves to do it and they had no power. They had no courage. We have an example in Peter. He denied Jesus because he didn't have the courage to confess him, but a marvelous thing happened. He went out and wept bitterly. What do you read in Acts 4:3, 12, 31-33? "Peter, full of the Holy Spirit...." He was able to speak and he didn't fear what the Roman Empire or the Jewish nation would do to him. He declared that Jesus rose from the dead and that there was no other nation under heaven whereby men could be saved. When did he get that courage? When he was full of the Holy Spirit. Every person in this meeting can have this life if he earnestly prays, and then he will have the sweetest fellowship with God. "Profess" means to declare or admit openly. When a person makes a profession in the truth and he neglects to pray and worship God, he dies quickly, receiving nothing from God. You can be in meetings, but if you don't pray and have a desire to read His Word, you get nothing. WHAT DO PEOPLE MEAN BY HAVING A CONVICTION AND HOW DO WE GET IT? Webster's definition of a conviction is: "State of being convinced, especially of sin. A strong persuasion or belief: as, to live up to one's convictions." When a person is born again, he has convictions. You have the mind of Christ and start to think differently -- you know right from wrong -- and you start doing what is right in the sight of God. If you don't have any convictions, that is tragic. I don't know how to help people without convictions. They are jellyfish, wishy-washy. But just as soon as a person begins to serve God, he has convictions. This is what I am going to do and this is what I am leaving behind." DOES GOD ALWAYS SPEAK TO US BY NAME? I think most of us have sat in gospel meetings and felt, "This is for me." Whether our name is spoken audibly or not, we have been spoken to many times, even when not in a meeting, perhaps when praying. I will never forget the time when I was spoken to when I felt I couldn't take another step in the ministry. I will never forget the help God gave me at that time when I earnestly prayed. WHY DON'T PEOPLE UNDERSTAND THAT GOD PLANNED JUST ONE WAY TO PREPARE PEOPLE FOR EVERLASTING LIFE? John 12:40, II Cor. 4:4. If a blind person was up here and I said, 'There is the table and my hymnbook and Bible, can't you see?' No, he can't see. He can feel it. If Satan has blinded people's minds, they can't understand. This is the purpose of the gospel. 'To open their eyes, and to turn them from darkness to light.' I am sorry that the person who wrote this question is like I was when I first started in the ministry. I thought anybody could read the bible and know what is true. Now I understand that people can read the Bible but can't see the truth, but when we live consecrated lives they can see God is working in us, and that is their hope. WHEN SOMEONE ASKS IF WE THINK WE ARE SAVED AND THEY BELIEVE THEY ARE, WHAT IS A GOOD ANSWER? God is the judge. Remind them of what Jesus said in Mt. 7:21: 'Not everyone that sayeth unto me Lord, Lord, shall enter into the Kingdom of Heaven, but he that doeth the will of my Father which is in heaven. Many will say to me in that day, Lord, Lord, have we not prophesied in thy name? And in thy name cast out devils? In thy name done many wonderful works? And then I will profess unto them, I never knew you; depart from me, ye that work iniquity. What do you tell people when they ask if you believe this is the only way? I tell them what Jesus said in John 14:6 'I am the way, the truth, and the life: no man cometh unto the Father but by me.' My purpose is to follow Jesus in His true way. IS IT ALL RIGHT TO READ BIBLE REFERENCE BOOKS? Bible dictionaries give us quite a little information about different nations, customs and people. If you want to learn about the temple service you can read quite a bit about it there, but if you want to look up the New Testament church, you can't find it. God has hidden that from the wise and prudent and revealed it unto babes. Only the people who are born again can see His Kingdom, as He told Nicodemus, "Except a man be born again, he cannot see the kingdom of God." We must be careful what we read and study. Does it agree with the teaching of the Holy Scripture? Why do we use the King James version of the bible? We believe it is the best translation of the Bible. There are other translations that might help us to understand some verses better, but according to brother and fellow worker, Anton Koutsourelis, who was a professor in English before he began in the ministry in Greece, the King James version is the best translation. IS MONEY REALLY IMPORTANT FOR THE FURTHERANCE OF THE GOSPEL? I think it is the same today as it was in Jesus' day because in Luke 8:1-3 we read of the women who "ministered unto him of their substance." We read about Paul when he wrote to the Philippians in ch. 4:15-17. These people sent little gifts to Paul. We don't get gas for nothing--we have to pay for it. People loan us a car. When we go to the store, we don't beg for what we get. Our people--and only our people--have the privilege of ministering to us. If people get too far in debt and can't meet their obligations, we would rather they pay their debts than give us a gift. One man in Indiana told me when we stopped at his gas station to announce our meeting that one of our friends went to the gospel meeting on his gas--he never paid the bill he owed for gas. We then told our brother it would be better for him to stay home and pay his bills so that man would know he was honest. God's people have the privilege of helping us. We are responsible how we use the little we receive to not waste it. What we don't use we share with others and we can get along, but it is nice when people see the privilege of ministering. I grew up in a very poor home, but my parents told us we shouldn't spend any thing on luxuries except for company; we saved as much as we could so we could minister to His saints and servants . If you have an open home and entertain, it costs you something in dollars and cents. Any person, or old, was welcome in our home if they behaved themselves. If they didn't conduct themselves right, my father or mother never hesitated to tell them, "We don't allow that in this home," and if they got angry and left the home, they said, "Good riddance to bad rubbish." They didn't want people in our home who were not respectful to the kingdom of God. Do you teach your children to sacrifice or not? Do you invite others to your home? It is a wonderful thing to do because you are helping your children see the privilege of laboring with Christ. The Philippian church helped Paul because they wanted him to go and help others. HOW DO WE GIVE MONEY TO THE WORKERS? Mt. 6:3-4, "'When thou doest alms, let not thy left hand know what thy right hand doeth: that thy alms may be in secret." When should we start? The only people who have the privilege of giving God's servants money are the ones who are consecrated to God. Have you parents taught your children to sacrifice for the Kingdom, or do you just want them to keep everything for themselves and get all they can out of this world? When you help God's servants, you give it as unto the Lord and if we don't use it right, that's going to be against us because that is your consecration to God. My needs have been meet and I am not asking anything for myself. There were times when I wished I hadn't spent money when I was with other boys, just to treat them, as it could have been used better. I know what it is to sleep outside in a haymow or empty building, to not have much, but that was a sweet experience. The hardest thing in the work is to be around people who profess to be serving God and are indifferent, false accusers, fault-finders, who don't want to go to meetings, they don't care much for the fellowship, they are just living for themselves. It is the deadliest thing to the workers. I hope you will be filled with zeal to live a more consecrated life to God. CAN YOU EXPLAIN ABOUT, GIVING ALMS (TITHES) TO THE CHURCH? IS THE 10% WE READ ABOUT STILL NEEDED TODAY? The tithe (10%) was asked of the Children of Israel, and this is the reason. Their were 12 sons of Jacob and each sons family became a tribe. We read of them coming out of Egypt and entering the promised land which God gave them. In the last twelve chapters of Joshua, we read of the children of Israel getting their inheritance in land, etc., but the tribe of Levi was not to have an inheritance in land except for cities in which to dwell. What did the Levites do? The Lord said in Numbers 18:20-21 "... I have given the children of Levi all the tenth in Israel for an inheritance for their service which they serve, even the service of the tabernacle of the congregation." Then the Levites would be getting about the same as the other tribes. The reason we don't tithe is because it is not necessary. God's love in the hearts of His people moves them to minister to His servants. When Clara Yeates had surgery, God's people ministered willingly. When she left the hospital, there was about two dollars left after all the bills were paid. The year before I was with Lloyd Watkins in 1930, he and his companion went to a certain community to have a tent mission. There was no apparent interest and they wanted to move to another town, but they didn't have any money. While waiting, they continued the meetings and a family moved across the street and started coming to the meetings. That family decided. Three weeks later, someone sent a gift and they moved on. They would have missed that family if they had had money to go when they wished. Only God's chosen people have the privilege of ministering to God's servants. WHY DON'T WE HAVE SUNDAY SCHOOLS? It is the duty of parents to teach their children. So many people send their children to some school and they don't know what kind of a teacher is teaching. Some parents don't take their responsibilities. Some men want to sit down and read when they get home, or do what they want to do, and some mothers don't take time to teach the children. Dt. 6:5-9. I wonder, do you take interest in your children? I read a little quip in a paper that said, "If we gave our gardens as much care as we do our children, all we would have is weeds." In this world today, people are anxious to have a nice home. It is good to make it comfortable, but if children are disciplined with love, and the father and mother love one another, it is a wonderful atmosphere in which to raise children. Many children in the world today have everything but love. I am glad today that my parents took us with them all the time until we got old enough to be on our own. When you are with your children and you are teaching them, they will know what God wishes for them to do. HOW DO WE EXPLAIN TO OUTSIDE FRIENDS WHY WE DON'T SPEAK IN TONGUES? That is simple. I Cor.14:1 9. This word "tongue" in the King James version just means languages, and if people who claim to speak in tongues went to Japan they wouldn't have to go to school to speak Japanese, but we notice they go to the language schools the same as our fellow-servants. Paul said he could speak in languages more than they all, but "I would rather speak five words with my understanding than 10,000 in an unknown tongue." That is how you can explain it to other people. In Acts 2, the Holy Spirit was present. The people there spoke in other tongues (languages) as the multitudes represented 15 different regions. "And they were all amazed and marveled, saying one to another, Behold are not all these which speak Galilaens? And how hear we every man in our own tongue, wherein we were born?" I can't explain this last part -- they spoke one language and the people heard in another. God did the miracle. WOULD GOD PHYSICALLY HEAL SOMEONE IN OUR DAY IF IT WAS PRAYED FOR WITH ENOUGH BELIEF? Yes, I believe God could heal today, but the reason God healed people in Jesus' day was to prove that Jesus was the messiah. All the healings Peter and others did were to prove that Jesus was the Christ. God gave Moses the commandments, the Old Testament law, and everybody received it. Then Jesus came to fulfil the old and introduce the new. How were people going to believe? He performed those miracles so people would believe that Jesus was the Christ. WHAT ABOUT WHERE PAUL HEALED ALL THOSE PEOPLE IN ACTS? AREN'T THE ACTS STILL CONTINUING TODAY? Phil. 2:25-27. Paul didn't heal Epaphroditus who was sick nigh unto death. The healing Paul did was to prove beyond a shadow of a doubt that God was with those servants who represented Jesus in the world, but people today have a selfish motive. They are trying to patch up the old body that is going to deteriorate as we get older. II Tim. 4:20, Paul didn't heal his companions, because there wasn't any purpose in it --they believed and followed Jesus. WHAT SHOULD WE SAY WHEN WE ARE ASKED THE NAME OF OUR CHURCH? You just about have to give your testimony. 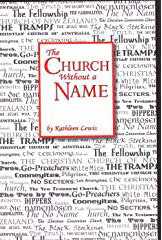 It's hard because we don't have a name -- the New Testament church didn't take a name (Acts 9:2), but it was called many names by others (i.e. church of God, church of Christ, church of the firstborn.) It is all the same -- it belongs to God. John. 8:31-32; when Jesus stood before Pilate, He just spoke of the "truth." Jesus was the clearest declaration of truth the world ever saw. WHAT IS THE CONCRETE FOUNDATION OF OUR BELIEF? The New Testament is the foundation of our belief. Mt.5-6-7 are the fundamental principles of our belief. WHY DO WE MEET ON SUNDAY? That's the day of Jesus' resurrection. We celebrate His resurrection, the greatest miracle in the world, and this gives us a hope beyond the grave. We commemorate that day by the breaking of bread, Lk. 22:19, I Cor. 11:24-25. WHY DON'T WE KEEP THE SABBATH? Jesus said He was the lord of the Sabbath, He is greater than the Sabbath. That is the day Jesus met with His disciples after the resurrection. WHERE IN THE SCRIPTURE DO WE READ THE ORDER OF THE FELLOWSHIP MEETING? I Cor. 14. We read of singing in the spirit, praying in the spirit and speaking in the spirit, and we read about the breaking of bread. I Cor 11:17-34. HOW DO WE EXPLAIN WOMEN PREACHERS? In Acts 2 on the day of Pentecost, Peter said this was a fulfilment of Joel, "I will pour out of my spirit on all flesh and your sons and your daughters shall prophesy and your men shall see visions and your old men shall dream dreams and on my servants and on my handmaidens I will pour out in those days of my Spirit and they shall prophesy." This is absolute proof that some of the daughters, handmaidens of God, prophesied. The definition for prophesy is in I Cor. 14:3. Our sister workers do not usurp authority over the men. I Cor. 14:34-35.was for the married women. WHY AREN'T THE ELDERS GIVEN THE TITLE DEACON OR BISHOP LIKE IN I TIMOTHY? The two words elder and bishop are synonymous. Paul wrote to Titus about ordaining elders in every city. "For a bishop must be blameless as a steward of God." Titus 1:5-7, Acts 20:17. Paul sent to Ephesus and called the elders of the church; vs. 28, "Take heed therefore unto yourselves and unto all the flock, over which the Holy Ghost has made you overseers, to feed the flock..." Those are the elders, or bishops. We don't use the term bishop so much today, perhaps because in the religious world it pertains to the head of a denomination. The deacons were helpers to the elders and had the same qualifications as did their wives. It would be good for those of you who are elders and deacons to read over the qualifications every once in a while, and the wives should read what pertains to them. WHAT IS A SCRIPTURAL ANSWER TO THE QUESTION, "HOW WILL CHRIST RETURN?" Acts 1:6-11. When Jesus was with His disciples just before He ascended, He asked them to be witnesses. When He finished speaking to them, He ascended and the angel came and said, "Ye men of Galilee, why stand ye gazing into heaven? This same Jesus, which is taken from you into heaven shall so come in like manner as ye have seen him go into heaven." He is coming back the same way He went; that's all I know. DOES ONE HAVE TO TAKE PART IN PRAYER AND TESTIMONY IN FELLOWSHIP MEETINGS? Some feel they can't, though they desire to. It is necessary. Rom. 10:7. The definition of "confess" is to acknowledge or own, as a fault or debt; To acknowledge faith in." If you acknowledge it with your tongue, it is necessary to talk, and if you can't talk, you use sign language. In the Sunday morning meeting, you have the privilege of making confession to what the Lord was to you through the week -- the help He was to you, and that will be a help to others. It is not necessary to give a big sermon. Some people are timid. A little girl decided in our meetings who was an A student, but the poor little thing didn't have the courage to give thanks at the table. We said, "Just give thanks for the food, don't make a long prayer." She did that. Then she was afraid to pray. We said, "Just thank God you have the privilege to be in the meeting, etc." She didn't have the courage to take part in meetings. We said, "You enjoy reading the reading the scripture, don't you? Just read a verse and say this is what you want to do." We must grow and we must have the courage to start. However, there is the possibility sometimes of taking part in meeting and not being helpful. We saw a nice little church formed; they were quite a distance from any of our friends. We went to preparations and received a letter saying that they had had an awful meeting. We wondered what had happened. They were getting along pretty well when we left. We asked later what had happened in that terrible meeting. It was harvest time and everybody was busy working and each one thought the others would have something for the meeting . They all went to the meeting, but no one had prayed or gathered food from God, which made the meeting empty. We were glad they learned that lesson when they were babes. Everyone has a real responsibility, whether or old. If you are lazy and you don't want to do it, you will miss your reward. HOW LONG SHOULD WE SPEAK AND PRAY IN MEETINGS? I don't like to put a time limit on this, but I will say if you are going to the same church every Sunday and you speak over five minutes, you soon won't be appreciated by the church. When I was a little boy, we had two and sometimes three who each spoke 20-30 minutes and the meeting lasted two to three hours. They gave a thought and repeated it over and over, just as if we hadn't understood. To be appreciated, be brief, but have a nice complete thought, which has been a help to yourself. SHOULD WE START OUR PRAYER WITH "OUR FATHER? That is what Jesus taught us in Mt. 6:9, "our Father which art in heaven..." it is also important to end a prayer in Jesus' name, Jn. 14:13-14, Jn. 16:23. SHOULD WE SAY "AMEN" ALOUD TO OTHERS' PRAYERS? Amen means "so be it." Jesus used it in Mt. 6:13. It is good to say this. PLEASE EXPRESS YOUR VIEWPOINT ON ATTENDING THE WED. EVENING BIBLE STUDIES AND GOSPEL MEETINGS. The wed. evening Bible studies are to give people a little help in studying the Bible and listening to the testimonies of other people. You have the privilege of encouraging people in that little meeting. Some people don't go to the Wed. night meeting -- they don't feel their responsibility of helping other people. I am very sorry for that. But those of you who are interested in the church will make it a practice to be there and if someone comes weary, you can speak a word in season to them. Dear friends, you will never know what those Wed. night meetings meant to me when I was working in the factory, living with ungodly men. It just seemed to me I got a drink of heavenly water in those meetings. One man told me the reason he didn't go was because he never got anything out of the meeting. He had decided in our meetings so I asked him if he ever took anything to the meeting. He replied, "I think you are right." If you go with a prepared heart, you will go away with bread. Some people don't go to gospel meetings -- maybe their business requires their time. I remember one place many years ago where we had only a few friends. One man was very anxious for us to have gospel meetings where he lived and worked. All the time we were there he came only on Sunday night when his business was closed. One day he offered me some money and I said I didn't want to take it. He said, "What is the matter?" I replied that I thought he needed it because he didn't come to the gospel meetings during the week. He said he had to take care of his business. If he couldn't close his business for an hour-and-a-half to be at the meeting, his money meant more to him than the meetings. He didn't like it and he never ministered to me again. Let me tell you, I would rather work with my hands than to ever stoop to have to take money from people who haven't their heart in this fellowship. WHEN CHILDREN PROFESS , BETWEEN NINE AND TWELVE, SHOULD THEY BE ENCOURAGED TO WAIT UNTIL OLDER BEFORE BEING BAPTIZED? WHEN SHOULD THAT PERSON START THINKING SERIOUSLY ABOUT BAPTISM? I don't like to see children baptized much before they are 16 because that is the time when a child -- boy or girl -- starts to understand the pressure of the world, the desire of the human nature and the lusts of the flesh. Are they willing to die to the world, flesh and devil? If they die to these things and are buried with Christ, then God will give to them the risen life of Christ to demonstrate to the world. I will never forget what Jack Carroll told me at Santee. There were two sisters who wanted to be baptized, one was about 11 and the other 12. I went to him and told him I felt it wasn't the right time because I feared they didn't realize what baptism meant. He said, "You don't have to take all the responsibility. Talk with the parents. They would know whether the children feel their need to pray, and the need of separating from the world." The parents would know better if the girls were ready for baptism than we would. The father spoke up and said the one was ready because she felt her need to pray, and had broken with the world, etc., but her sister didn't feel her need to pray and they had to keep talking with her about separation from the world. The older one said, I will wait for my sister," and she did. I don't like baptizing real children. If you baptize one and not the other, they can't understand. We have baptized some people and they hadn't died. It is against the law in California to bury anybody who isn't dead, and we shouldn't baptize people if they aren't dead to the world and the lust of the world and the pride of life. Jesus died to the world, the flesh and the devil, and lived true to His Heavenly Father. WHAT DO YOU ANSWER SEVEN AND EIGHT YEAR OLDS WHEN THEY ASK IF THEY CAN PROFESS? Children differ greatly. Some little children are very serious and God has dealt with their hearts. I could never say no, but I do talk with them of their responsibility to obey their father and mother. Some children profess because other children do, but they won't get help doing it that way. I don't know how to answer that question generally. Parents should take responsibility in guiding them. One little girl said, "But I am old enough to die!" You couldn't say no to that one, could you? WHAT KIND OF THINGS SHOULD PEOPLE PRAY FOR? I appreciated this question. It helped me to study a little about prayer. Mt. 5:44, "Pray for those who despitefully use you and persecute you." Can you do it? It's wonderful if you can. It's a struggle for me, but I must put forth more effort to practice this. Mt. 5: 9-13 is the sample prayer of Jesus. Are we interested in His kingdom coming, His will being done in earth -- in our life and in the lives of others? "Give us this day our daily bread." Daily bread could mean our strength to face this critical world where there is so much reproach toward people who reverence God. Mt. 9:38, "Pray ye therefore the Lord of the harvest, that he will send forth laborers into his harvest. ": I won't ask for your hands, but I would like to ask how many of you have prayed that prayer today, or this week? You who are naming the name of Christ, Jesus taught, us to pray that the Lord would send forth laborers, after looking upon the multitudes of people without God. Jesus also said in Mt. 25:41, "Watch and pray, that ye enter not into temptation." Col. 4:3-4, "Pray also for us, that God would open unto us the door of utterance that I may make it manifest, as I ought to speak." I have never felt the need of help more than in these last years. I hope you will remember to pray for the servants of God so they will make the truth manifest as they ought to speak. You tradesmen, as you get to the end of your working days, get expert in your trade, but in our work, we never learn how and we must always depend upon the Holy Spirit to teach us. James 5:13, "Pray one for another." Before you go to meeting, do you pray for every one in that little church? It will do you good if you do. It will make your little church close and harmonious. IS IT GOOD TO PRAY THAT GOD WILL MAKE A CERTAIN THING HAPPEN TO LET US KNOW HIS WILL IN A PARTICULAR MATTER? We read of some people in the Bible doing this and I have heard of others doing it, but I don't remember ever doing it myself. I would rather have faith and be like a little child and let Him lead and guide me. SHOULD PEOPLE BE ASKED TO GIVE THANKS AT MEALS BEFORE THEY PROFESS WHEN THEY ARE SOFT AND TROUBLED? This responsibility should be that of the parents in the home. Sometimes people include their children when they sing grace at the table; sometime they ask the children which grace they want to sing. HOW CAN PARENTS ENCOURAGE THEIR CHILDREN TO SEE THE NEEDS OF THE KINGDOM, APART FROM PRAYING FOR THE HARVEST FIELD AND SHOWING THEIR LOVE FOR GOD'S SERVANTS? If you are sacrificing for the kingdom and your life is consecrated to the Lord, it will have an influence. I didn't think about the work while I was in high school. I decided at 19. When I saw the fellowship we were enjoying in Christ because of a servant of God being willing to leave his widowed mother, his occupation, his country, and come to our poor part of the country to bring the truth which changed the whole future of our lives, it made me so grateful. Thinking of his sacrifice and other people wanting to know the truth, the only thing I could think of then was to give my life. I didn't have the best health, I could hardly pray in meetings and it was very difficult for me to give my testimony. But, hearing Dad and Mother rehearse over and over their joy in knowing the truth and being in God's family helped to move me to go into the harvest field. When Archie Turner was with us in San Francisco in 1960 on his way to the Orient, I told him he was the 13th worker to leave for the Orient that year. It was then he told us that in 1905 there were 52 men and women who left Great Britain, going to South Africa, New Zealand, Australia, Canada, and USA. Those servants invested their lives in God's kingdom, and that is why we are enjoying the truth. Archie said some of the people who were serving the Lord had very nice homes. They sold their nice furniture, heirlooms, etc. and gave the money to help the 52 men and women to go to the different parts of the world. That's how the gospel came to us. When I was in Italy, I happened to mention this at a convention. Florrie List, one of the workers who is hardly able for the work now, told me when she got through school and was working, she wanted to buy some nice furniture for their home, as they had a fine home, but just had second-hand furniture. Her mother said, "Florrie, we used to have that kind of furniture, but when the workers were going to other lands, we sold it so we could help them go. We don't want that kind of furniture now, we just want to help in this great kingdom of God." How could those people have invested their lives and money better? I just thank God for those early servants of His who were willing to sow their lives as seed and for those people who labored with them in the gospel. I love working with you people in California and appreciate your interest in this Kingdom. We want to keep that interest kindled and alive. It will help your children if you keep showing them how much you value the truth, your desire to help others, and the sacrifice the servants of God made to bring us the gospel. I was about 19 when I decided and then I began to pray and worship God. A year or so later, when thinking of the sacrifice of God's servants that brought the truth to our family and seeing that the harvest was great and laborers few, I was moved to give my life to help those who were lost. Dad and Mother often told us about the servant of God who left his widowed mother, his occupation and country, coming to our part of Michigan, making it possible for us to know the truth, which resulted in a happy home. With this upon my heart, I couldn't pray that the Lord would send other people unto the harvest which was great and laborers so few, when I wasn't willing to go. My keen interest in learning a trade and getting ahead in life evaporated and I couldn't be happy in doing anything but going into the work. My experience was like this. When I was 22 years old, I was anxious to learn a little about the work, so I visited with our older worker in Michigan. He spoke with me a little about his experience in the harvest field. After convention he wrote me saying if I wanted a place in the work, a companion was waiting for me. Then the impact came of leaving all -- everything, even what the future holds out to all people. This was a terrific struggle because this is a choice for life. When men and women offer to lay down their lives to carry the gospel, we know their struggles. Workers are not freaks of nature. God created a man to desire to have a wife and a woman a husband. Every day we die to these desires so we can be better able to help in the Lord's great work. We hope when men and women leave all to enter the work you will pray for them and write to them. I treasured those first letters I had from our friends in Michigan; they helped me over my many struggles. How many of you are praying as Jesus said, Mt. 9:37-38, "The harvest truly is plenteous, but the laborers few; Pray ye therefore the Lord of the harvest, that he will send forth labourers into his harvest." How many of you prayed that prayer this week? Have you ever prayed it? I hope you will. HOW DO WE GET INTO THE WORK? If that's in your heart, speak with some of the workers, and usually they tell me about it. Then we would like to talk with you a little and help you see a little of what the work is like and how you can prepare yourself to be useful. If one feels called to the work, what is the best way to prepare ? I don't know anything better to tell you than to learn how to be a good, willing servant, and when people ask you to do something, don't resent it, and if people correct you, don't resent it. Thank them for it if they think that much of you and that will help you. Abraham's servant was wanting to get a wife for Issac and was looking for a woman who would serve. He asked Rebecca, "Would you give me a drink?" She said, "Drink, and I will give thy camels drink also." Ten camels! I used to think it was something to pump water for ten cows. If you want to be successful in the work, serve! When Jesus saw strife among his disciples over who would have the greatest place, He said that was all right among the Gentiles. Lk. 22:24-27, "Ye know that the princes of the Gentiles exercise dominion over them, and they that are great exercise authority upon them, But if shall not be so among you: but whosoever will be great among you, let him be your minister; And whosoever will be chief among you, let him be your servant." That is what Jesus did at that passover feast, His last feast with His disciples. It was the custom for one to wash the feet of the guests. Nobody took that humble place. Maybe Peter thought it was John's place. After the feast was over and everybody had had a chance to serve and nobody had been willing, "Jesus laid aside his garments; and took a towel, and girded himself. After that he poureth water into a basin, and began to wash the disciples' feet." "He that is chief among you, let him be as your servant." If there is anything that humbles me, it is the humility of my Lord and Master, and I want to have more willingness to submit myself to my Master and to serve my brethren. The most effective servant is neat in his appearance, his suitcase is neat and his room is neat. It is very necessary for a boy to be masculine and a girl to be feminine, then they can be a real help in the kingdom of God. HOW CAN YOU LET HONORABLE THINGS, SUCH AS AN OPEN HOME, AN HONEST MARRIAGE -- USEFUL IN THE KINGDOM'S CAUSE -- TAKE FROM GOD FIRST PLACE? L. 10:11, they had an open home, but at this time Martha was hindered because she was complaining about her sister's service. Ananias and Sapphira seemingly had an honest marriage -- they agreed -- but they agreed to lie against the Holy Spirit. In spite of what may have been a good marriage, they died because they lied against the Holy Spirit. You might get along well with your husband or wife, but how are you living? Does God get first place? "Useful in the kingdom's cause," made me think of Solomon. "They made me the keeper of the vineyards, but mine own vineyard have I not kept." Song of Solomon 1:6. A tragic experience came into Solomon's life when he was careful about the affairs of the kingdom and neglected his private life with God. WHY DO WE TAKE THE BREAD BEFORE THE WINE IN SUNDAY MORNING MEETINGS? Mt. 26:26-28, Mk. 14:22-24, Lk. 22:19-20. "Jesus took bread, and blessed it, and brake it, and gave it to the disciples, and said, Take, eat; this is my body. And he took the cup, and gave thanks, and gave it to them, saying, Drink ye all of it; For this is my blood of the new testament, which is shed for many for the remission of sins." His body was broken and then His blood was shed, so naturally the bread would come first. Who should give thanks for the emblems? How about the kids who have been baptized? We would like to see people mature spiritually giving thanks for the bread and wine. WHEN IS IT BETTER FOR A PERSON NOT TO PARTAKE OF THE BREAD AND WINE? When we have unforgiveness in our hearts, it is best to not take part in breaking bread. This is what was happening in the Corinthian church, I Cor. 11:17-18, the people were coming together for the worse instead of for the better. In the 28th verse, Paul said, "Let a man examine himself and so let him eat of that bread, and drink of that cup. For he that eateth and drinketh unworthily, eateth and drinketh damnation to himself, not discerning the Lord's body." The breaking of the bread is a memorial feast and every time we partake of these emblems, we should think about the sacrifice of Jesus who purposed to fulfill God's word and pour out His life so we could be redeemed. The twelve apostles all partook of the bread and the fruit of the vine, but only Judas partook of it in the wrong way. The eleven disciples were prepared to lay down their lives with Jesus, but fear caused them to forsake and deny Him. Judas premeditated what he did and it would be wrong for us to partake of the bread and the wine if we do not plan to obey God's word. If you don't mean to be true to God, don't partake. Some say, "So and so is getting by." Forget it; you are standing before God. Remember the words in Col. 3:25. Older folks are supposed to set the example. However, there are some who seem to find fault with everybody. I thought we are supposed to help and encourage, not put others down. Yes, I agree, and I can't understand why some people find so much fault with others, but they do. Jesus said, "Judge not that ye be not judged... And why beholdest thou the mote that is in thy brother's eye, but considerest not the beam that is in thine own eye?" A beam -- a great big 2 x 4. Here we are, we judge, and we don't think about ourselves and our shortcomings. Sometimes my spirit hasn't been good and it has separated me from God. Others may have the same experience. I don't say your mistakes are right, but I can feel for you, and I hope our older people will be an example to our er ones who are following us. If we really love our brethren, we don't advertise their faults, but try to help them. WHAT ARE PEOPLES' RESPONSIBILITIES TO THE OLDER FOLKS? If you can be courteous and perform favors with politeness, that would help a lot. Paul gave Timothy this advice in I Tim. 5:1-5, "Rebuke not an elder, but entreat him as a father; and the er men as brethren; the elder women as mothers; the er as sisters, with all purity. Honour widows that are widows indeed." Just be nice and polite and willing to serve. Is it asking too much to give the friends where the meeting is a call when not coming, or when more people are coming? Personally, I think it would be very kind to do so. HOW CAN WE HELP THOSE WHO DON'T PROFESS OR WHO ARE HAVING SPIRITUAL PROBLEMS, BESIDES PRAYING FOR THEM? The best way we can help other people is to manifest charity, I Cor. 13, the love of God. Charity suffers a long time and is kind, etc., is not envious or emulous, wanting to be above other people, isn't puffed up, boastful, isn't selfish, doesn't seek her own, is never irritable, never broods over an injury, etc. Forgive people instead of brooding over their wrongs. HOW CAN WE GET HELP TO TAKE CHASTISEMENT, ESPECIALLY FROM OLDER PEOPLE, WITHOUT BITTERNESS? Simply be being humble and exercising ourselves in the love of God. It's a little bit easier for children who have been taught discipline when , before they have a good memory. When you teach a child discipline, be sure you love the child -- the two go wonderfully together. What will help us to not murmur? By possessing the love of God (charity), I Cor. 13. WHAT ABOUT CHRISTMAS CARDS, GIFTS AND TREES? Have you ever analyzed the word "Christmas? It means "Christ's Mass". In other words, a mass for Christ. We don't have a mass for Christ at that season; we worship Him all the time. The Christmas tree is an idol in the false churches. It belongs to the world, not to God's people. Jer. 10:1 tells of cutting down the tree, decorating it and then worshipping it. Sometimes our people get their children clothing or other things they need at the holiday season. WHEN PEOPLE GET TOGETHER, DO YOU PREFER THAT THEY AVOID LARGE GROUPS AND GET TOGETHER IN SMALLER GROUPS? WHAT ARE THE PITFALLS AND DANGERS TO AVOID WITH EACH KIND OF GATHERING? There were three women in one area and they were bent on getting the people together. They all had people and thought it would help them spiritually if they had social times together. Sometimes they had big gatherings, and when I heard the police were called in to try to quiet them down, it grieved my heart. I told them what a shame and reproach they were in the neighborhood. There should never be large gatherings for people unless there is someone there to control them. If people can get together and act like ladies and gentlemen, that is nice -- once in a while, but not too often, maybe every two or three weeks. Too much familiarity breeds contempt and bad things happen. WHAT DO YOU THINK OF PEOPLE GETTING TOGETHER AT A PIZZA PARLOR AFTER GOSPEL MEETING? WOULD GOING TO A HOME AFTERWARDS FOR REFRESHMENTS AND A SHORT WHILE TOGETHER BE AN ALTERNATIVE? There is a possibility of losing the inspiration we received at the meeting if we have a gathering afterward. However, if a person went to a home for a short time to visit about the meeting, it might prove helpful. There's a danger of being too familiar. It is a good habit when a person can go to their room and in prayer thank God for the help they received. SHOULD WE INVITE NON-PROFESSING FRIENDS TO COME TO SOCIAL EVENTS WITH THE FRIENDS? I think it is better for our people not to be too involved with non-professing friends. However, there can't be a law as some might like our fellowship and they are not trying to contaminate our faith. Some may be seeking help for their soul. IS IT OK TO HAVE GATHERINGS ON SATURDAY NIGHT? Absolutely no. Do you know what you can be doing Saturday night? You can be getting ready for the meeting Sunday morning, trying to get a little bit from the Lord to feed God's people in the Sunday morning meeting. It is tragic to spend your evening any other way, unless you have to work. ARE THE FOLLOWING ACTIVITIES FITTING FOR GOD'S PEOPLE -- MOVIES, PLAYS, MASQUERADE PARTIES, MOCK WEDDINGS, ROCK CONCERTS? We just question anyone's salvation who would desire these things -- they are feeding on flesh. A sheep or lamb never feeds on flesh. WHAT KIND OF BOOKS, MAGAZINES, PAPERS, MUSIC ARE ACCEPTABLE? Sometimes you want the new. Some magazine articles are not edifying. Phil. 4:9-11 "Whatsoever things are true, honest, just, pure, lovely, of good report, if there be any virtue, if there be any praise, think on these things." If we can think on constructive things, it will help us to strengthen our spiritual life. Some books will corrupt us, others are educational. One must be very careful with music in order to have our heart and soul in tune with God. We stayed in a home once where they didn't even have a curtain on our bedroom door. They played the radio from about 5 a.m. until midnight. When we went to pray, all we heard was worldly music. When I did get a little quiet place to pray, those crazy tunes would come into my head and also the words. When you can sing the songs of Zion, there's a response in your soul that will edify; the other songs can be dangerous to our spiritual life. WHAT ABOUT GETTING INVOLVED IN EXTRA-CURRICULAR ACTIVITIES AT SCHOOL -- SPORTS, DRILL-TEAM, BAND ETC.? Before I made my choice, I loved to go to games, but I felt guilty when I spent money for my own pleasure when I could have used the money in better ways. In the sport world, there are idols -- the ones at the top. Sometimes we have seen pictures of those idols in saint's homes -- which is not good, also beauty queens in girls' rooms, but those girls are not with us now. If we are serving the Lord, He is the one we worship. This will separate us from the sport world. I have yet to see anybody really spiritual involved in sports. HOW DO YOU FEEL ABOUT DRINKING WINE? Some of our people who once took a little wine became alcoholics. The world uses it so much. I feel it is best to avoid all appearance of evil. When I see people take wine in the homes, I am afraid. I have seen people who took a little wine and I don't think the parents were bothered, but I know what it did to the children, some are alcoholics. Now the parents are responsible because they had it in the home. In the world people drink and call it a good time. One man who decided in our meetings said: "This is the first time we have ever enjoyed the holidays because we won't have sore heads." WHY CAN'T PROFESSING BOYS AND GIRLS GO OUT TOGETHER JUST AS FRIENDS? Professing girls get labeled as boy-chasers, too serious, just wanting to get married. Therefore, the boys don't take them out. Because of this, the boys date outside, and the girls date outside because they get tired of waiting and sitting at home. We had our problems when we were too. I was so interested in getting ahead in the world that I wasn't interested in dating anybody, but we had an open home and girls and boys came and some of those girls were too aggressive. One lady was so anxious to tie me up with her daughter that I could hardly stand the girl. One lady said, "None of the boys will go out with my girl." I could understand, because she wasn't a lady. A boy who is hearty in the truth wants a girl who is true to God, and a girl who is hearty in the truth wants a boy who is true to God. If girls want to fix up like the world, the good boys won't want them. If you are thinking about getting married, be serious. If you get a partner who is true to God, you are getting a prize. I will say to you, don't make a decision quickly. Pray to God. he might lead you into a more useful life. I would like to mention Arnold Scharman. There was a brother, Percy Smily, who lived in a divided home. Arnold liked that man and told him he was thinking about having an open home. Mr. Smily said, "Well, that is nice, but suppose it turns out like my home? I can't have the workers come. Have you ever thought about the harvest field and prayed about it??" He hadn't, but started to and the next thing, he was in the work. Today Arnold is in Germany giving the last ounce of his strength. He has been such a comfort to many in Europe and throughout the world and to our family as well. AT WHAT AGE SHOULD GIRLS AND BOYS BE ALLOWED TO DATE? My parents think 16 is enough, but I know of some dating er. I know of some who have been very sorry that they dated . Sixteen is too as far as I am concerned, but you might not be in agreement. I know some who married just out of high school, and the woman took off and left her little ones -- too tired, washing diapers, sitting up with babies, working all day, and wanting to be having a good time. She started dating at fourteen. The boy was left holding the sack. Some girls get in trouble and they are ruined. There is cleansing and forgiveness, but you live with conscience. I preached with a man who said, "Oh, I wish I could be like you boys. I know God has forgiven me, but my conscience is so seared, and I think of things...." It was his relationship with women. He was scarred. He said, "Oh, if I could get free." He was plagued. It wasn't that God didn't forgive him. God is merciful, but the devil never forgives and wants to torment you all the time for your past failures. Rev. 12:10. DO YOU HAVE POINTERS REGARDING A COUPLE GOING TOGETHER -- HOW THINGS SHOULD DEVELOP FROM ACQUAINTANCE TO FRIENDSHIP, COURTSHIP, ENGAGEMENT, AND THEN MARRIAGE? HOW LONG SHOULD THE ENGAGEMENT BE? I think you should ask somebody who has gotten married. That is out of my category. Find a couple who gets along really well together, who are kind to one another and love one another, and ask them! WHAT CAN AN ENGAGED COUPLE DO TO PREPARE FOR A MARRIED LIFE THAT WOULD BE HELPFUL TO THE KINGDOM? Phil 1:27, "Only let your conversation (manner of life) be as becometh the gospel of Christ: and whether I come and see you, or be absent, I may hear of your affairs, that ye stand fast in one spirit, with one mind striving together for the faith of the gospel." Should a couple show affections in meeting (like holding hands)? Absolutely not! That is not what the meetings are for -- do that in private if that's what you want to do. WHAT KIND OF WEDDING SHOULD A PROFESSING COUPLE HAVE? One that would become the gospel of Jesus Christ. What would you think of a girl who has gone through school and stayed separated, been humble, a real princess, and then she has a worldly wedding? She is throwing the whole thing overboard. Have a humble little wedding. Invite people afterward -- fine. Whatever you do, keep it so it will be a blessing in the kingdom of God. SHOULDN'T WEDDINGS AND FUNERALS BOTH BE PRIVATE, MEANINGFUL AFFAIRS? I would say that they should both be meaningful affairs, but such depends on the family. There's a lot of difference between a wedding and a funeral. Ecc. 7:2-3, "It is better to go to the house of mourning, than to the house of feasting: for that is the end of all men; and the living will lay it to his heart." A wedding is usually a time of feasting and if conducted humbly it will become, or befit, our humble fellowship meetings. A funeral usually is a time of mourning and it sobers our hearts. We do appreciate your love for one another. When Ed Hernstedt passed away recently, many attended his funeral because of the help he was to so many in having convention on their farm for twenty years and a meeting in their home. WOULD YOU DISCOURAGE MARRIAGE BEFORE GRADUATION FROM HIGH SCHOOL? Absolutely yes, and maybe for a little time afterward. We would like to see the boy saving up a little money so he would be able to take care of his wife, and the girl should learn how to cook and keep house. There was a girl who had a good mother. She came home from college and said, "I am getting married." Her mother didn't say no, but, "If you are getting married, you are doing the cooking and housework. I don't want any girl to leave my home who can't cook and keep house." After two weeks, the girl said, "Forget it!" WHEN PEOPLE QUIT SCHOOL, THINKING THEY CAN COMPLETE IT LATER BY CORRESPONDENCE COURSES OR A G.E.D COURSE, AREN'T EMPLOYERS BOUND TO THINK OF THEM AS DROPOUTS AND QUITTERS? I suppose they would. I think employers want to see people ambitious. If they quit school and get a job, they would wonder if they would be a profitable employee. G.E.D. courses can get you a diploma, but a drop-out is a poor advertisement for getting a job. WHAT ARE YOUR OBSERVATIONS OF THOSE WHO HAVE MARRIED OUTSIDE THE FAITH? Most are not with us today. John Porterfield took a census of this and found that over a period of 45 years in Arizona, out of 69 who married outside, only 13 are in the truth today. A man gave his testimony who heard the truth in Los Angeles. His wife went along with him, but never made her choice. He spoke about separation it brought into their homes after he decided. The first year he went to convention he found himself drawing closer to God and further from his wife. Every year the gulf grew bigger between him and his wife. He said, "Everything she was living for, I was trying to die to, and everything I lived for, she was dead to." Some have felt they could be a help to someone outside if they married him. Once in a while they are, but we have seen some very tragic things. A promising woman about 20 felt sorry for a divorced man who was lonely. We heard they were going together, but she said, "No, we aren't, we're just friends. He is lonely." All at once something happened and she was in loved and they married. Love is blind and marriage is an eye-opener. That woman had a very sad life.Remember when you marry, you make a lifetime According to the vow. words of Jesus in Mk. 10:11-12 and Lk. 16:18, people who divorce and remarry commit adultery. Some people who have done this say they are having fellowship with God. Prov. 30:20, "Such is the way of an adulterous woman; she eateth, and wipeth her mouth, and saith, I have done no wickedness." WHY IS REMARRIAGE AFTER DIVORCE FORBIDDEN IN THE NEW TESTAMENT? Because the words of Jesus, Mt. 5:32, Mt. 19:9, Mk. 10:11-12, Lk. 16:13, I Cor. 7:10-11,39, Rom. 7:2-3, "Whosoever putteth away his wife and marrieth another, committeth adultery. ARE THERE ANY CAREERS THAT WOULD BE ADVISED AGAINST FOR A CHILD OF GOD? There are some that would be very hard for you, like music. I know one man who played in an orchestra; he was good. After he decided, he went back to Milwaukee to some big party where they wined and dined. When he came back, he asked if we could make him an outline where to go and what to play. We said we could, but it wouldn't do any good. We told him, "You have something better. You have the Holy Spirit. When you feel uncomfortable there, don't go back, or don't play a piece of music if you aren't comfortable -- quit!" Two weeks later he resigned and everyone of his old friends thought he was crazy. If you have the Holy Spirit within you, there are some kinds of work you can't do. One of our Mexican brothers got a job as a janitor. He advanced to quality control. They wanted him to be dishonest, but he couldn't. Do you have that kind of conscience? You can't be dishonest and serve God. COULD YOU EXPLAIN WHY IT'S WRONG FOR WOMEN TO WEAR MAKEUP OR USE HAIR COLORING? I hardly think any of you people would do that. You know what is the beauty of a woman -- a meek and quiet spirit. It is a marvelous thing in a man also. When Peter wrote about wives, he said, "Whose adorning let it not be that outward adorning of plaiting the hair, and of wearing of gold, or of putting on of apparel...." The only woman in the Bible who was painted up was Jezebel. She was a wicked Zidonian princess, an enemy of God's people, one who killed a number of God's servants. If any person wants to flirt with the world and be like the world, that is where they are going to end. If you want to keep true to God and be a light in this world, honest people will admire you. WHAT ABOUT GIRLS TRIMMING THEIR HAIR, OR HAVING LONG HAIR EXCEPT FOR BANGS? The scripture says if a woman prays or prophesies with her head uncovered, it is as if she were shaven, and her hair is 'given to her for a covering.' Long hair is a glory to the woman. If you really want to obey God and do it willingly, you will have a reward, but if you want to get around it, you can, and maybe nobody will know it but God. Partial obedience is not acceptable to God. God is no respector of persons. Be honest with God. One woman coming to our meetings saw all the women had long hair and asked why. So we read her I Cor. 11:5-6, 15 to her "... a shame for a woman to be shaved or shorn. She said, "I must have bangs", but she never cut it again. Two years later I was teasing her. She said, "You will never know how many times I had the mirror and shears," but something in her would hurt and she couldn't make the shears work. There was a boy born into that home. When he was two years old, one day he went quiet. His mother tiptoed around to see what was happening and their wee lad was by the davenport with a book open, on his knees praying. Who taught him to pray? He was doing what he saw his parents doing. The Holy Spirit will teach you what is best. IS IT ALL RIGHT FOR LADIES TO WEAR DIAMOND RINGS, OR GOLD PINS? A person who uses these things is craving what belongs to the world. If you want to be a representative of the family of God, live a modest life and have a meek and quiet spirit. One woman told me that her husband had given her her engagement ring. I said, 'The scripture teaches that if we love one any more than Christ, we are not worthy of Him.' Mt. 10:37-38. I didn't know that there were some in our fellowship who have diamond rings who have meetings in their homes. I don't approve. I wouldn't be true as a servant of God if I held up another standard than what the scripture teaches. In the world, sure, that is the custom, but not in God's kingdom. HOW DO YOU ANSWER WHEN ASKED WHY OUR WOMEN DON'T WEAR PANTS? Dt. 22:5. 'The woman shall not wear that which pertaineth unto a man, neither shall a man put on a woman's garment: for ALL who do that are an abomination unto the Lord thy God." That is scripture. A girl was going to school with two of our girls. Our sisters were the only ones in the high school who wore dresses. This girl asked her mother if she could have a dress. The first day she wore a dress, all the girls said, "You are going feminine now." Sure, that is what girls should be -- feminine, and boys should be masculine. Remember, you serve either the Lord Christ, the world or yourself. Which one are you serving? WHAT WOULD BE APPROPRIATE APPAREL FOR GIRLS TO WEAR SKIING, HORSEBACK RIDING, JOGGING, ETC.? Some things are pretty hard to do and be a Christian, and if you don't deny yourself anything, it is pretty hard to fulfill scripture. "If any man will come after me let him deny himself, and take up his cross, and follow me.'" IS THERE A SCRIPTURAL REASON WHY WE DON'T GIVE SHOWERS OR SALES PARTIES? When people are invited to a shower, they are expected to bring a gift, which is simply asking for a gift. This isn't even polite. At the shower, everyone knows what the others gave. Jesus taught in Mt. 6:3, "... let not your left hand know what your right hand doeth." That's why we don't approve of showers. A sales party is given by a person who profits by inviting others to their home and it is making merchandise of God's people. The kingdom of heaven is built only on sacrifice and if it wasn't for this sacrifice of Jesus and our fellow-workers and friends, you wouldn't know one another. It looks to us like people taking advantage of the blood of Jesus just for natural gain. I would like to thank all of you for your interest in the kingdom and for your presence here. Any time we can be of help to you, we are only too glad to do so. We love you and we need you. We hope you will have God's help so you can be a real help to others in the kingdom. We have been deeply disturbed about our young people's thinking regarding the sin of fornication, that they are ignorant of what the scriptures teach regarding it, and unaware of just how God feels about it. Some feel that the Bible classes premarital relations as a spiritual and normal marriage and as long as they eventually get legally married to the one involved it is not classed as wrong, as long as there is no one else involved. We find nothing in the scriptures to back up this kind of thinking. In Old Testament days, before anyone who had sinned could have fellowship with God, or with the people of God in the congregation, they had to make a sacrifice by taking an animal and confessing their sins, (which speaks of identi fying oneself with their sacrifice). Then that animal was taken and burned outside the camp so that there would be no resemblance of sin inside the camp (church). Let us look into the New Testament and see what it says about this sin. Eph. 5:3 "Let it not be once named among you." I Thess. 4:3 "For this is the will of God, even your sanctification, that ye should abstain from fornication: ..."
Thus we lose our sanctification...we are no longer set apart. I Cor. 6:18-19 calls it a sin. We are sinning against our own body and our body is the temple of the Holy Ghost. The following scriptures give a long list of the sins of the flesh. Fornication is put on the same level as murder, hatred, drunkenness, etc. Rom. 1:29-32 finishes up by saying, "Who knowing the judgment of God that they which commit such things are worthy of death, not only are guilty of the same, but have pleasure in them that do them." Col. 3:5-6 "...For such thing's sake the wrath of ' God cometh on the children of disobedience." Gal. 5:19-21 "...They which do such things shall not inherit the kingdom of God." Eph. 5:3-6 "...shall not inherit the kingdom of God because of these things cometh the wrath of God upon the children of disobedience." You might ask what scriptures are used to show that this act was dealt with. I Cor. 5:9 "...not to keep company with fornicators." I Cor. 5:11 "...with such an one no not to eat,"
These verses state that the church cannot have fellowship with such a person. Rom. 7:13 "But sin, that it might appear sin...that sin might become exceeding sinful." There was a law or stipulation layed down to show how exceeding sinful sin is. I Tim. 5:20 "Them that sin rebuke before all that others may fear." We have to take a stand for the sake of others. Rev. 2:21 "And I gave her space to repent of her fornication and she repented not." This is why we give such a person a space, or a time, to prove that they have really repented. Prov. 28:13 "He that covereth his sins shall not prosper, but whoso confesseth and forsaketh them shall have mercy." No one can shield wrong in himself or in someone else and prosper in the way of God. So the secret of getting right and free from this sin is confession and turning away from it. The above has been sent to us and we feel it would be profitable if shared with all, as we are aware of a great need amongst us in this age of permissiveness. The fallowing three Biblical terms, inordinate, lasciviousness and concupiscence have reference to what the world calls heavy petting, or in other words, young unmarried folk seeking to satisfy their sexual desires without actually committing fornication. Inordinate - not ordered or kept within bounds; unrestrained --hence excessive; that which exceeds rules and limits. Ezek. 23:11 She is more corrupt in her inordinate love, unrestrained love. Col. 3:5 Mortify (put to death) fornication, uncleanness, inordinate affection, etc. Lasciviousness - inciting (stir up or rouse) to lust, tending to produce lewd emotions. Gal. 5:19 The works of the flesh are manifest, which are these, adultery, fornication, uncleanness, lasciviousness etc, they which do such things shall not inherit the Kingdom of God. II Cor. 12:21 Lest when I come again my God will humble me among you, and that I shall bewail many that have sinned already; and have not repented of the uncleanness and fornication and lasciviousness which they have committed. Eph. 4:18, 19 Having the understanding darkened being alienated from the life of God through the ignorance that is in them, because of the blindness of their heart: who being past feeling have given themselves over unto lasciviousness to work all uncleanness with greediness. Jude 4 For there were certain men crept in unawares who were before of old ordained to this condemnation, ungodly men, turning the grace of our God into lasciviousness, and denying the only Lord God, and our Lord Jesus Christ. In other words, inciting, stirring up uncontrolled lust and expecting the grace of God to cover it. Concupiscence - strong desire or appetite, especially sexual desire and lust. Rom. 7:8 But sin, taking occasion by the commandment, wrought in me all manner of concupiscence. Col. 3:5 Mortify - fornication, uncleanness, inordinate affection, evil concupiscence. In other words, put to death uncontrolled sexual desires and appetites. I Thess. 4:3-5 For this is the will of God, even your sanctification, that ye should abstain from fornication; that every one of you should know how to possess (control or manage) his vessel in sanctification and honour; not in the lust of concupiscence, even as the Gentiles which know not God. Love in the home life is the backbone of the country, the church, and it makes for happiness in the home. People are looking for happiness and that comes by having the love of God as the ruling power in our hearts and in our homes. There is no better influence in which to raise your family than having the love of God in the home. Mother told me when I went into the work not to tell people how to raise their children, because many of the ex-workers' children were not obedient, but we in the work have observed a few things which we like to pass on. In Judges 13, it speaks of Manoah, who, when the angel of the Lord came to them and told them they were to have a son, prayed, "How shall we order the child?" The angel returned and told them what the mother was to do, and how she should order her life, but nothing was said (about) how to order the child's life. So tonight, I feel the one thing that will help you the most in rearing children is to have the new nature from God, and you can then live the love of God in the home. Love includes correction, guidance and our influence in the home. It is very difficult to have the love of God rule in our lives and home, because we all have a human nature which desires to take its own way. There are two things love always does - sacrifices and serves. When a wife reverences her husband, she will sacrifice for him and serve him. When the husband loves his wife, he will do the same for her. When people get married, they have a great love for one another and are so willing to do for one another, but after a little while, they feel the other one is not doing his part or her part. The husband sometimes demands service, and sometimes the wife demands service. When they do this, they do not want to sacrifice for one another. If a boy or girl is raised in a home where there is love, and the husband is the head of the home, yet makes sacrifices and serves his family, and the mother does likewise, usually the children have a good background when they marry. If the father is cruel, the chances are that the children will take on that trait. If the mother is bossy, the children often take on that trait, especially the girls. There is no better influence under which to train up a child than for the wife to love her husband, and the husband to love his wife. Sometimes the ugly things we see in children, they learn from their parents. One Saturday, two little girls about three and foul years old were quarreling in a home. The mother said to the father, "I have them all week, so it's your turn today." He took the little ones and told them about God being a living God, and He sees things and hears things. He told them God heard the murmurings of the Children of Israel, and He hears when you quarrel. He got his point over very well, because one of the little children said to him, "Daddy, does God hear when you and Mama quarrel?" I don't think my father and mother always agreed, but never did they disagree in our presence. They were quite different from one another, but they agreed to stand by one another, and we children never knew there was any difference in their opinions. If we asked something special from our father, and he said "No," then we went to our mother and asked the same thing, we were in serious trouble. I will say to you married people here, whatever you say to your children, be in agreement and carry it through. If you are wrong, don't be too proud to admit your mistake, other wise you lose ground with your children. My first year in Indiana, we visited a home where they had three children. The little boy was told he wouldn't get his dessert until he cleaned up his plate. However, he pouted and played with his food until it came time to serve the dessert, The mother apparently forgot what she told the boy. She gave him his dessert. My companion spoke up and said, "Why did you lie to your boy?" She said, "What do you mean, lie?" I thought my companion was getting in deep water as the woman was furious. Then my companion said, "You lied. You said he would not get anything else to eat until he cleaned up his plate. He didn't clean up his plate, but you gave him his dessert." What my companion said was very true. He was true in his endeavor to help this mother. Be careful what you say to your children and carry it through. If you cannot carry through, then apologize. In this way, you teach your children you mean what you say and you are true to your word before God. John the Baptist's father and mother were chosen for a certain office, and that was to rear the forerunner of Christ. They were both righteous before God, walking in all the commandments and ordinances of the Lord blameless. It is easy for parents to be influenced by what other people do in the neighborhood or in the church. My father and mother were accused of being very cruel to us children. They only spoke once to us and expected immediate response. We never could say, "Wait a minute." When they spoke, it was necessary for us to obey immediately. I don't remember when this started, but it would be very difficult to start when children are five years old. Parents who have had the most success with obedient children began when the children were in their arms as babies. One father and mother had five boys; the baby was about four months old, and when he cried, she- took him to the kitchen, and when she had examined his clothing to see nothing was hurting him, she brought him back into the meeting. He cried again. She took him out to the kitchen again, and when he stopped, she brought him back into the meeting, and that time he squealed with anger. The mother took him out and spanked him. Some of the mothers in the meeting were upset because they knew the little baby didn't know what he was doing. After the meeting, one mother came complaining to me about what Olive did to her tiny baby. In the meeting, her four little boys sat very quietly when the parents' eyes were upon them, but if the parents weren't looking, they were just boys. I appreciated the love and discipline they had in the home, so I told the complaining. mother, "When you get your child to mind you when you have ahold of her as Olive's children obey her when she looks at them, I will listen to your theory of raising children." When you take your children to visit our friends' homes, and they don't touch things on the table or desk, or do not get into people's drawers, but obey you and conduct themselves nicely, you will get a warm invitation back. But if you don't discipline your children, they won't be wanted, and neither will they invite you back. It's very cruel to children when there is no discipline with love. When we were away from home, our parents usually guided us by their eye. We knew when we displeased them, and we also knew when they were pleased with what we did. When people saw the immediate response we gave to Dad and Mother from a look or a word, they thought Dad and Mother were cruel; they told Mother that when we got to be about 18 years old, we would all run away from home. I was the first to leave home, to go into the work. Mabel and Lillian left home to go into the work, and my sister and two brothers didn't leave home until they got married. Most of the people saw the discipline in our home, but they never saw the love that Dad and Mother had for each other and for us children. When we did little things for the home that pleased our parents, they told us how much they appreciated it. One needs the wisdom of God to know how to discipline children, as that depends on their age and the actions performed. If it is done in ignorance, it requires teaching; if it is done in rebellion, that might require something else, as it says in Proverbs 22:15, "Foolishness is bound up in the heart of a child; but the rod of correction shall drive it far from him." It is good to not be angry when correcting children, because anger is a short insanity. You say things, and afterward you feel terrible and wonder, "Why did I ever say that?" If we could wait until our anger subsides, we can use reasoning and be helpful to others when we discipline them. These lovely little ones are sometimes an aggravation if we let them be, but if we love them, train them and teach them, they will be a joy all our lifetime. Another thing that helps me with people is for me to remember and keep in mind what I was like when I was a teenager, and the crazy things I wanted to do. When we remember what we did, we can understand other people on their level. If we forget what we were, then it is difficult for us to understand little ones, teenagers or people. We appreciate home training, but there isn't anything so influencing as a godly reverence in the home; the father for his wife, and the mother for her husband. Many times we children wanted to do what other saints' children were doing, and our parents didn't approve. When we asked, “Why?” They would say, "What do you think the Lord wants you to do?" We always seemed to know what the Lord wanted us to do, but we didn't like to hear it. Then we heard the words of 1 John 2:15, "Love not the world, neither the things that are in the world. If any man love the world, the love of the father is not in him." Do you teach this to your children? If we love some things in the world when we are living and working with worldly people, it is hard not to be influenced by the world. There is nothing better for married couples than to love the Lord with all their heart, all their soul and all their might, and this will help us be loyal to Him and separated from the world. If you want to be a hero or heroine, just be true to God, whether in school, in your neighborhood or at your work, but people will usually make fun of you, revile or persecute you for Jesus' sake. However, you will have the blessing of God and rest and peace in your heart by representing the love of God. In Matthew 5:44, Jesus said, "Love your enemies, bless them that curse you, do good to them that hate you, and pray for them which despitefully use you, and persecute you; that ye may be the children of your father which is in heaven." These are the marks of God's children. Do we have them? Whether we are or old, if we have the love of Christ in our hearts and lives, it is going to govern what we say and what we do. It will help us to be kind in the home. Ephesians 4:30-32, "Grieve not the Holy Spirit of God, whereby ye are sealed unto the day of redemption. Let all bitterness, wrath, anger, clamour, and evil speaking, be put away from you, with all malice: and be ye kind one to another, tenderhearted, forgiving one another, even as God for Christ's sake hath forgiven you." This instruction, if practiced, will erase all quarreling in the home. Sometime we don't say anything, we just slam the door or stomp our feet. If we can have this love of God in our hearts, then we can forgive one another and enter into the joy of the Lord. Maybe your dinner isn't ready when you come home, but can you husbands be kind? Or perhaps your husband doesn't come home on time, can you be kind when he does arrive? We appreciate self-denial and sacrifice in the home. We were forced to leave the farm because of crop failure and many debts. I know what it is to be raised in a poor home. In Detroit, we had an old, dilapidated home. My father and mother always wanted an open home for God's people and the workers to feel free to come at any time; in order to do this, we had to work together. When vegetables and fruit were available, we worked late nights canning so we could entertain God's people. When Mabel and I had good work, we thought about having a new home like others of our friends had, and I was anxious to have a new Dodge instead of the old Model-T. One Saturday around the table, Dad and Mother told us how much it would cost to have a new home and a new car. If we got a new house and another car, we couldn't afford to have company. It was up to us what we wanted, and we said, "The old house and the old car." We children are glad they taught us self-denial at home so we could help in the Kingdom. One question asked here was, "How best should we uphold the need of the harvest field to our children?" The only way I would know is to live for the Kingdom of God and have our interests in the harvest field. Is your chief interest in the Kingdom of God? Do you make any sacrifices for it? Or are you just living for yourself? In 1905, 52 men and women saw the need of a perishing world and sailed from Great Britain to carry the gospel to South Africa, New Zealand, Australia, Canada and the USA. God laid it upon their hearts to give their lives for the Kingdom and to carry this message into the world. In 1903, the first workers came to America. A few more came in 1904. They gave their lives. The brethren in England, Ireland and Scotland knew they had to have their needs met, and the fares to go to their respective fields. Some of those people had real nice homes; they sold their nice fancy furniture, some of their heirlooms which had been handed down and were valuable, and gave this to the Kingdom for the work of God to progress. With their whole heart, they made an investment - both the workers and the friends. Now when I look into different countries and see God's people and this great fellowship, how it has prospered, I realize it is because of self-denial and sacrifice, on the part of God's servant and on the part of God's people. When in Italy, I mentioned how much we owe to our brethren in the Old Country for sending servants to us and about the sacrifices of God's people that helped the servants come with the Gospel. After the meeting, a sister worker about my age told me her parents were some who sold their heirlooms and furniture and got by with cheaper things in the home so they could help in the Kingdom. When she finished school and obtained a nice job, she told her mother, "I would like to get some nice furniture for our home." You would know how the daughter felt. The mother said, "We used to have very nice furniture, but we sold it to help in the Kingdom, and now we don't care for that anymore, as we would like to continue helping in the gospel work." Then she told the girl about selling their valuables to help those going abroad. Do you see what the influence did to help that girl go in the work? It is good to have a nice home and nice furniture, but could those have invested their lives and their possessions in any better way than they did in those Early Days, when God's servants came to us. How much are you going to train your children to do without? Sacrificing for others is evidence of love. It is difficult in raising a family because there are the influences of the world, the flesh and the devil. To influence children away from the world, one must live for the Lord and make sacrifices in our own life to carry weight with our words. It is natural for people to want their little boys and girls to look like the world, be in the same things that the world is carried away with, but the sacrifices the father and mother make help the children want to make similar sacrifices for the Kingdom of God - that is, if they do it willingly. Some of our people made their choice when their children were 11, 13 or 15 years old. Formerly, they led them into the world and when they made their choice, the children still wanted the world. Some of our people have had success in telling their children, "Yes, we loved the world and we lived for those things in the world, but when we heard the truth, we realized that was wrong, and now we would like to lead you to better things." When we were growing up, some of God's people felt some of the things of the world were harmless, and they wanted their children to be attractive to others, and it only fed their pride, as this was what the human nature wants. Children are just as vain as we are, and it's nice to teach them self-denial and sacrifice. If you don't do it when they are little, when are you going to start? When visiting with a lady who had a five-year-old daughter, she told me when her daughter started to school that year she was going to be dressed like other children, she wasn't going to deny her anything. Twelve years later, I visited our sister and her girl was 17. She sat in the same rocking chair where she had told me what she was going to do. She hadn't asked what we thought was best for her to do. When the girl was 17, her mother was crying and wanted to know what she could do to help her girl who was swallowed up in the world. There was nothing I could say because that's where her mother wanted her when she was five years old, and that is what the girl liked, but that's where she remained. The mother knew it wasn't what we recommended when she was five years, but she was going to do it anyway. She reaped the fruit of sowing to the flesh. You can let your children look and act like the neighbor's children, but when are they going to stop? When I started in the work, most all the women in the world had bobbed heir. When I was cutting some boys' hair, a lady asked me to cut her little girl's hair. My reply was, "I would like to do anything to help you, but I can't cut your little girl's hair, conscientiously. The scripture teaches long hair is a glory to the woman, and it is given her for a covering. If it is a glory to the woman to have long hair, it is a glory to the little girl. She's just a little girl, but if she remains healthy and continues to grow, she will become a lady. When will you stop? Some do not want to make choices for their children until they profess. We will be wise if we do like the Children of Israel. When Pharoah asked Moses in Exodus 10:8-9, "Who is leaving Egypt?" Moses' reply was, "We will go with our and with our old, with our sons and with our daughters, with our flocks and with our herds will we go." Did they leave their children in Egypt? Not a hoof was left behind. If your service is a love service, it is acceptable. If it isn't a love service, it isn't acceptable. We cannot fool children. They know exactly how we live. A mother of five children was awakened by her little three-year-old daughter. The children were playing meeting and the mother listened in. Two of the children were to be workers, and the others were to give their testimonies in the meeting. Just before it was time for the three year old to speak, she picked up her little doll and said, "I'm going to take my baby to the kitchen as I don't have anything to say." The mother said that was what she had been doing when she didn't have anything to say in the meeting! Was she fooling her little girl? She may have fooled some of the older people in the meeting, but she didn't fool her three-year-old daughter. What are we teaching them by our actions and by our words? If we want them to be kind, we must be kind. If we want them to say thank you, we must be sure to say thank you. If someone gives us a little gift, do we express our appreciation? When people give your children a gift, do you have them send a thank you note quickly? This is something which will benefit them all their lifetime. When Christ is in the home, love dwells there as the Prince of Peace. There is an ungodly influence in the world today in different aspects of life. Some women folk want to wear men's clothing. Some men wish to be like women. In Deuteronomy 22:5, we read these words, "The woman shall not wear that which pertaineth unto a man, neither shall a man put on a woman's garment: for all that do so are abomination unto the Lord thy God." Some people say there are exceptions; others say this is in the Old Testament. Notice these words, "for all that do so are an abomination unto the Lord thy God." There are no exceptions in this verse. People wish to make exceptions. If it was an abomination to God in the Old Testament, it still is an abomination to God, because He hasn't changed. There is a nice verse in Colossians 3:25, "He that doeth wrong shall receive for the wrong which he hath done: and there is no respect of persons." If your children are boys, you fathers can teach them to be gentlemen as you act like a gentleman, and if you mothers like your daughters to be ladies, it is important for you to act like a lady and your girls will pattern themselves after you. We are glad there is a reverence in the truth that helps people to be respectful in the meetings. It is very important for the children to be quiet and to respect the meeting, because that is where they meet with Christ. When people start coming to gospel meeting and bring their children, we find many aren't "church broke." They can't sit still. But when everyone respects the meeting, soon the children learn their place, with a little assistance from their parents. Children should never be allowed to disturb the meeting. Our people can teach their children to be quiet when they pray in the morning and evening and that they should not be disturbed while praying. It will help their children in any of the meetings. We have to be reverent in our consecration to God. A lady told me of her little two-year old boy going quiet one day. She knew when he went quiet, he was either asleep or in mischief, so she looked for him and found the little fella knelt before a chair with a book open, praying. Where did he learn it? Children learn a great deal by example. It would be nice if we could be examples to them. This is a difficult question. "What is the best way to deal with seriously ill children without spoiling them?" If children are babied and made over when they are ill, they will get ill when they want attention. If they are seriously ill, that is another thing When children play sick to get attention, and it is given them, then they will continue to play sick. In our home, when we played sick, we got a dose of castor oil. If you baby children who play sick, often when they are married, they play sick to get attention, which is very difficult for them. One needs to have godly wisdom and instinct to know how to deal with children so they are not spoiled. There is some very good instruction in the book of Proverbs, as many of them are written for Solomon's sons. This question is also difficult. "There is such a controversy over whether it is better to reason with a child or spank him." Reasoning is good, but if there is rebellion, sometimes a spanking is needed. That would depend on the age of the child. "Foolishness is bound up in the heart of a child, but the rod of correction shall drive it far from him." Proverbs 22:15. Sometimes they need a spanking, and other times they need to be reasoned with and sometimes they benefit by being deprived of privileges. Mother taught us to always be time conscious. If she told us to be home at 5:00, it wasn't to be 5:05. We would say the neighbor's clock was slow, but she would say, "I told you to be home at 5:00. You can't go visiting for a couple of weeks, being you weren't home on time." She wanted to teach us to be on time for work or whatever we were doing later on in life. She didn't give us a spanking for that problem. One man was very ugly with his children and often berated then when we were in the home by saying, "You crazy thing, you don't know anything and never will know anything." One day he asked me a question, and that gave me an opportunity to talk to him. I reminded him of what he had said in our presence and asked, "How would you like it if we spoke to you that way? We should do to others as we would like others to do to us." Ephesians 4:15, "But speaking the truth in love, may grow up into Him in all things, which is the head, even Christ.” It will always pay us to speak the truth in love, and this will come easier when we have the love of God in our hearts. If we have the mind of Christ and the leading of the Holy Spirit, these will teach us how to deal with others better than anything I know. "When children profess , what is the responsibility of the parents?" As godly parents, the Holy Spirit will teach you what to do. Deuteronomy 6:4-8, "These words, which I command thee this day, shall be in thine heart: and thou shaft teach them diligently unto thy children, and thou shalt talk of them when thou sittest in thine house and when thou walkest by the way, and when thou liest down, and when thou risest up." It is good to teach them the word of God and set before them the teachings of Jesus which will help them to understand why we live as we do, separated from the world. It is necessary to live what Jesus taught us and that will be an example for them to follow. Jesus taught in Matthew 7:21, "Not everyone that saith unto me, Lord, Lord, shall enter into the kingdom of heaven; but he that doeth the will of my Father which is in heaven." "Should parents always pray and read with their children, or just sometimes? How much responsibility do the parents have?" The Holy Spirit will be able to teach the children if they wait on Him and will also help the parents to be an example to their children. "What is the responsibility of parents toward older children in their reading and praying? When you feel that they haven't taken time, how far should you go in reminding them?" A good example to them in the home is excellent. Perhaps there will come a certain time when you can speak a word in season that will be a help to them, when you can tell them of your own need to read and pray. When we workers are dealing with people in our fellowship, we cannot always talk to people about certain things, but must wait until we get an opportunity to speak a word in season, or a little word of exhortation. "How best should we uphold the need of the harvest field to our children?" Speaking to them about how much you value the truth, and how you love the meeting and all who are in the meeting is good, but it's better if they see you are delighted that you have found the truth and no matter what others think, say or do, the purpose in your heart is to serve the Lord in spirit and in truth. If serving the Lord is a burden to you, your children know it; they know what is dearest to you in your life. "What should be done when your child is snubbed and without friends in the truth? Should people be so partial one toward another?" I do not know enough about the subject to answer the question properly. However, some people work hard for their children and always want to have their children with them and they are too tired to go visiting where their children might have a little while with those of their own age. When raised separately the children aren't so outgoing and naturally wouldn't have so many friends, and then when the children pick out their friends, they usually pick out some at school or some in the neighborhood. Other parents like to visit friends who have children who are obedient so their children have a relationship with that quality of friends. At the convention grounds, I have always loved to watch children pick out their friends, or the one they wish to chum with. Years ago I remember some of you parents and you chose your friends here on the convention grounds, and you always chose ones you liked. It is the responsibility of the father and mother to teach children to be gentlemen and ladies. If your children are polite and kind, not selfish, then other children will like them. However, if you keep them to yourself, your children will be shy and not outgoing. Parents must make certain sacrifices for their children to be in the company of protesting people and try to hold them back from the company of the world. In our home, when we children were growing up, the only toys we had were homemade. When company came to visit us, the company had first choice at any of our toys. If we objected and refused to let our company play with our toys, we had to go to bed. We only did that one time. Who wants to go to bed when there is company? There are a lot of things we can do to make children selfish, give them everything they want and they are selfish. If you want to see the plight of selfish people and see people nobody likes, visit a rest home. They are full of people who were selfish when they were little and when they were married, they were still selfish, and in the rest home, nobody cares for them because they are still selfish. However, there are a few of God's people in those rest homes, and the nurses love to wait on them because they are unselfish and think of others. The love of God in our hearts is the secret of happiness. It is the nicest influence you can have in all the world. "It is a popular theory that when a child be comes twelve years of age, he is sort of on his own. What do you think about that?" A wise father and mother have absolute control in the home when the child is a baby, and when it is ready to leave home. If the parents do not love and chasten a baby, it will be out of control when it is two years old and be hateful to everyone who meets it. As long as a child is in the home, he should reverence the home and have a reverence for God. If a person does not have it this way, they don't have a happy home, only rebellion. It is nice to reason with the children and tell them, "We want our home to be a home where God can dwell. God is not the author of confusion, but of peace." About twenty years ago, a little boy who was in kindergarten had an invitation to come to his school friend's birthday party Wednesday evening. The parents had professed just a short time and the little fella was thrilled because he was invited to the party. He told his mother all about the party, and when he finished, his mother said to him, "Remember, Wednesday night is meeting night." He left and came back a few moments later and said to his mother, "Well, I can't go because it's meeting night." The mother didn't say, "You can't go to the party," but gave the little boy a chance to make his own choice; and spoke the word kindly and in season. It has been a joy to labor among you here in California and among your children. Children, your lives will speak loudly to the people of the world if you are obedient to your father and mother and love your brothers and sisters. People notice when they come to our meetings the reverence you have for the meeting place and those that are in the meeting. I wish to thank you for your kindness in the meeting tonight. We are glad to help you, but I will say that if you love the Lord and put your whole life in the truth, that will do more than anything else because your children will know what is the right thing to do. My father and mother went through difficult times when I was about seven to twelve years of age. They were misunderstood in our church. The meeting was taken out of our home and put in another home. My father and mother never told us those things, and I learned it after I went into the work. Never did my father and mother whisper anything that would make us feel badly or unkindly toward anyone in the church. They suffered 20 years, and the truth came to light. They told me about their disappointments just two years before I was misunderstood. I knew then that in the years to come, things would be brought to light, and they were. If there are things in the church that are not right, pray about it. Endure hardness as a good soldier of Jesus Christ. Suffer long and be kind. Don't whisper it to your children or they might not like the people you speak about. Remember Jesus said, "Pray for them that despitefully use you and persecute you." This will help your children to love God's people and His servants, but if you talk about God's people or His servants in front of the children, they might not like them, and they will want to be in the world. When things are not right, put your trust in God and pray for those people. If this doesn't accomplish anything else, it will soften your own spirit and help you to be fruitful in the Lord.